I was walking in the village of Te Van, Vietnam working my way to the start of my trek through the muddy hillsides covered in rice patty fields when I looked over at the man walking next to me. We started a short conversation because he heard me speaking English with a typical American accent. I found out that he was from Chicago, and even though he was surprised that I lived in Seoul, South Korea it didn’t take long to realize that I really was from Colorado. He and his family had been traveling through Vietnam for the last couple of weeks and remarked that we were the first people from America that he had come across. I told him that it is not an unusual thing to experience when traveling the world. Rarely, do I run into other Americans, and as of late, if I do, they usually happen to be part of the international teaching community like me. Americans do not typically travel outside of America. Part of this is because America is a vast land with so many amazing places to visit that it shouldn’t be a big surprise that they wouldn’t think to visit places so far away. Proximity plays a big part in the equation too. It takes a long time stuck in the cramped spaces of an airplane to get to the place where you are going and then when you get there you get to experience jet lag for a few days before you can truly enjoy yourself. Americans have been known to travel to Mexico, Central America and the islands in the Caribbean because they are closer, and I have not run into many Australians or New Zealanders while traveling through Europe for pretty much the same reason. Lastly, there is this aspect of being comfortable. When you go to a different country, there are many cultural and language differences that you have to overcome in order to truly enjoy yourself. It causes a lot of stress for a moment that should be relaxing. Why would anybody want to do that to themselves? Most of the time when people think of vacation they think of the moments when they can get pampered and leave their troubles behind. They want to find that expansive beach that looks out over the ocean so they can bask in the sun with a good book. They want that neon colored drink with the fat straw, heavy pour, and plastic umbrella. 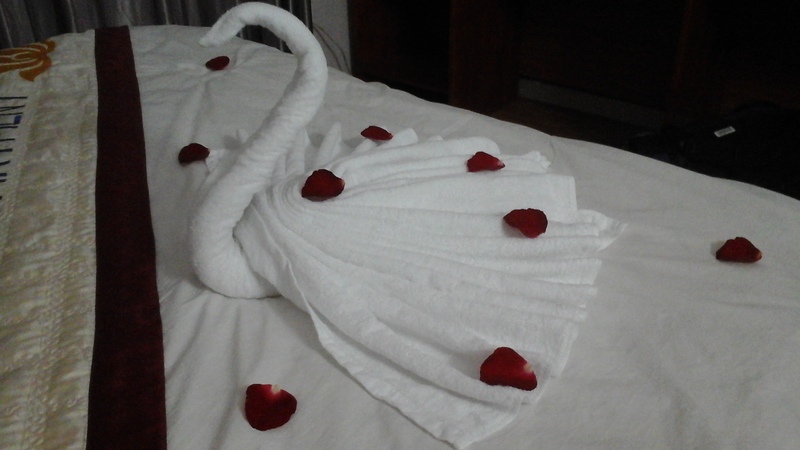 They want that soft bed with the towels folded into a swan and covered with rose petals. This way they can forget about their complicated lives for awhile and truly enjoy themselves. Why complicate things by learning about a new culture at the same time? Actually, that is the thing that excites me the most with travel. I want to experience new things, and see a new perspective on the world. As the world moves closer to hiding themselves behind their secure borders, I would prefer to see how the rest of the world is living, and try to gain a different understanding of the people from different cultures. Yes, I do enjoy being pampered from time to time, but that is not the main focus of my travels. Many Americans will find the all-inclusive places along the beach in other countries that allows them to enjoy this carefree life, but is that really getting out of their comfort zone. It is just another representative of America on a distant shore. In order to really experience that culture, the people need to leave the confines of their safe hotel and walk out on the streets of the place where they are visiting. This can be a very scary endeavor. The streets on Ha Noi are a great example of this. People in this great metropolis need to get from one place to another just like in any other city, but they do not usually do it by car. Instead, many of them purchase motorbikes to trek across town. They don’t only take themselves, but they will load up their whole family on these bikes. There were many times that I saw a dad guiding the bike through the busy streets of town with the mom sitting sidesaddle on the back while holding on to a new born baby as the younger brother bounces up and down on the father’s lap. They weave their way through the traffic that is not dictated by any traffic lights, so there is always a blending of hundreds of bikes, cabs, cars, and trucks at every intersection with each one of them vying for the position that will allow them to get to their destination, and they let others know of their presence by continuingly honking on their horns. It creates a crying cacophony of music that lets people know they are in Ha Noi. 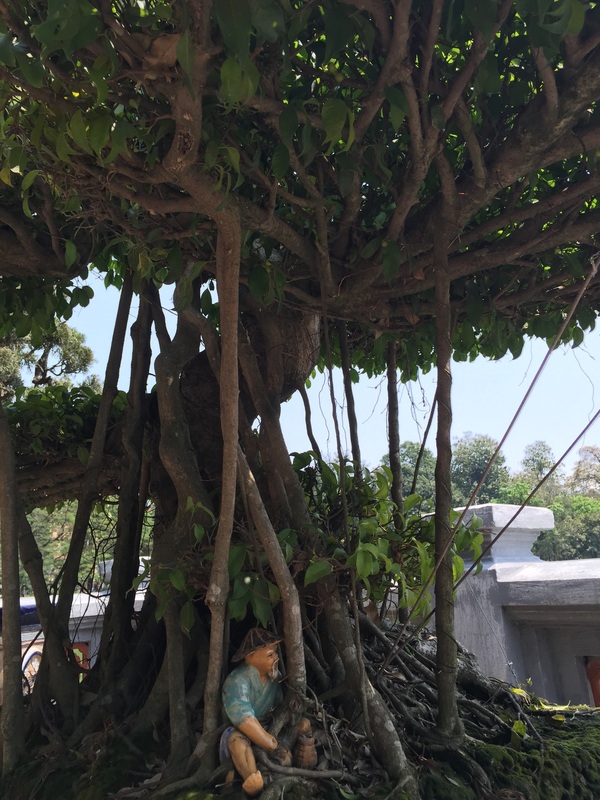 But one must look beyond the traffic if they really want to see the heart of the place they are visiting, and Ha Noi really has a heart to it. 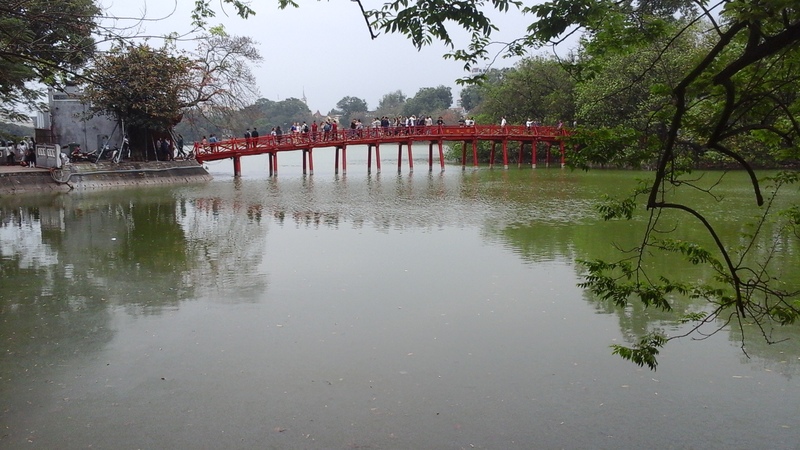 Once I ventured out of the streets of the old quarter, I found Hoan Kiem Lake. This is probably the most touristy place in the whole city. Restaurants and bars circle the lake, and if you are really adventuresome you can check out a water puppet show. I decided to visit the temple on the small island in the middle of the lake instead. This is the place where I was able to put the noise of the city behind me and find some peace. The tranquility here allowed me to collect myself and really start to understand the culture of Vietnam. It was also the place where one of the country’s greatest myths played out. The name of the lake translates to “The Lake of the Returned Sword”. The legend goes that in the 15th century, Le Loi, on his way to becoming the emperor of Vietnam, was gifted a great sword named Heaven’s Will by the turtle god that lived in the lake. Le Loi used the sword to defeat his enemies and gain control over Vietnam. He returned to the lake and was once again visited by the turtle god asking for the sword back. After thanking the turtle god for the use of the sword, he returned it to him and the turtle brought it back under the lake where it is supposedly still buried today. I had never heard of this story before, but it showed me that no matter where I travel in the world, the people have great stories that help give their culture shape and depth. It also showed me that no matter where I went, the stories might have their own unique twist to them but essentially they are the same. This story reminded me of Excalibur and the lady of the lake. This story reminded me a lot about the world. Though we may wear different clothes, pray to different gods, and eat different foods, we still value the same ideas held up with our heroes, and when we dig through all the superficial stuff, we are still the same underneath it all. It is easy to forget this when we stay safe in our home clutching on to our national pride. I have started to realize that this is one of the main reasons that I travel. My travels also takes me to some of the most amazing sites this world has to offer. I have traveled to many National Parks in the United States. I have roamed over the vast fields filled with animals in Africa. I have studies the great cathedrals in Europe. And I have been to many of the UNESCO World Heritage Sites. 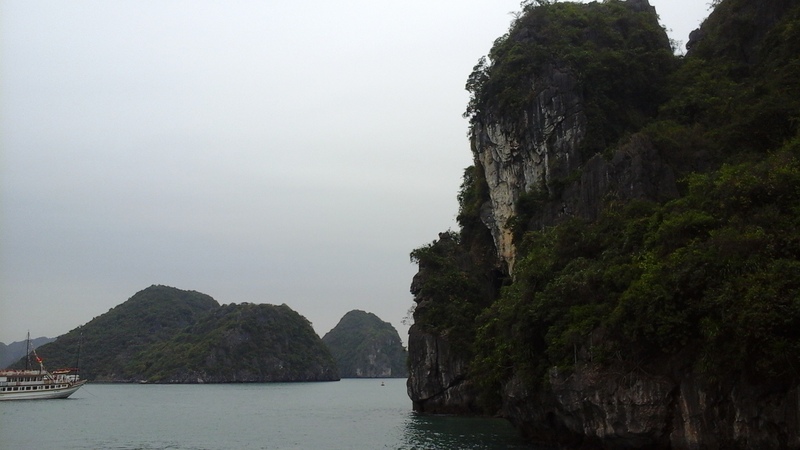 Each time I visit one of these places, I am awed by the natural beauty, and Halong Bay might top the list as one of the most spectacular places I have ever seen. Any visit to the northern part of Vietnam has to include a cruise on this bay, and I would recommend going for at least three days and two nights. This bay supports almost two-thousand tree clad islands. Some of them are so small that they will only support one or two people; whereas, others are so large that they have oyster farms, or beaches, or hidden caves on them. 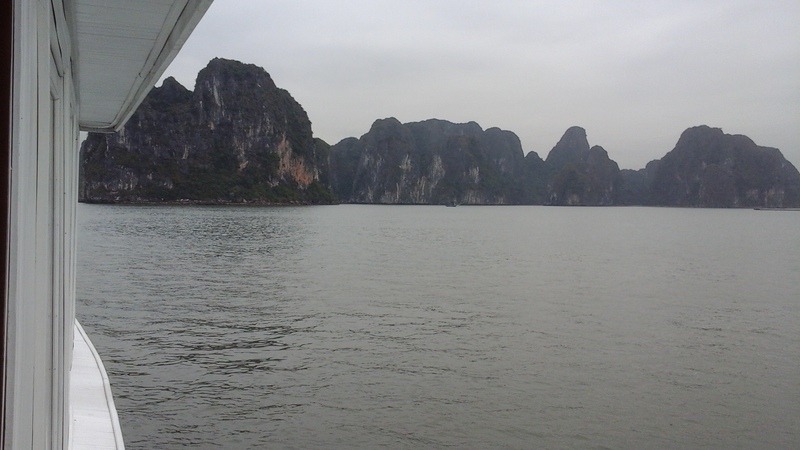 The cruise I went on took me to some of the better ones while giving me the opportunity to swim in the ocean, kayak to a hidden hideout of the Vietcong soldiers during the Vietnam war, and take a hike to the top of one of the tallest islands so I could survey the expanse of this wonder. This best part of this adventure was I got to do it from the comfort of a small ship that served amazing meals next to a well stocked bar. 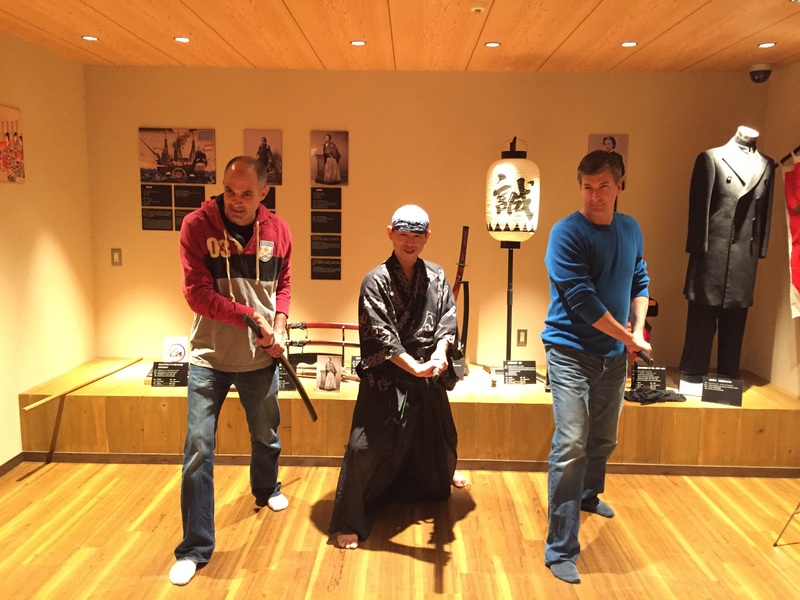 During the night, they taught us how to squid fish, and in the morning they showed us some Tai Chi. With all of these experiences and views that are offered on an excursion like this why would I want to sit at home and see the same thing over and over again? I once had a student of mine tell me that a trip like this was not worth it because he could go online right now and experience the same thing through the free pictures that he found there, but I know from experience that these pictures do not do a place justice. Going out there and seeing the majesty of these islands and enjoying them from the comfort of a patio on a small ship is completely different from scrolling through pictures on Google image. I get to breathe in the fresh air. I get to taste the salt on my lips. I get to hear the gentle waves crash against the ship. It is the whole experience that makes it amazing, not just the view. But this isn’t the only reason I travel. 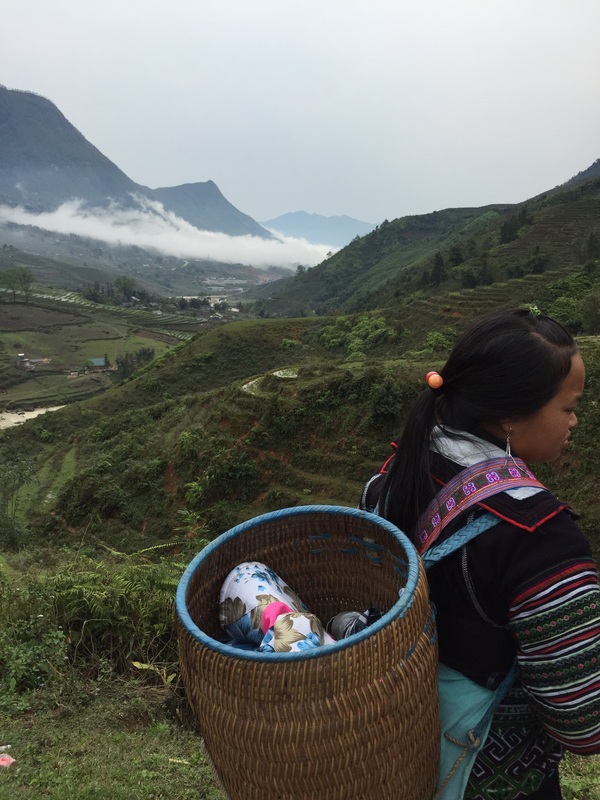 Hidden in the clouds next to the border of China is the small mountain town of Sa Pa. This place shows the diversity Vietnam has to offer and reminds me a lot of the smaller towns in the hills of Colorado. There were a couple of streets where all of the restaurants situated themselves, and a market place was built, dedicated to creating and selling various handwoven items. It is an amazing process to actually see. Women, living in the hills, will gather hemp which they will constantly be threading together to make into a durable thread. This thread will then be dyed with a color created from the flowers growing all over the hills. It will then be woven together to turn into bags, pillowcases and shirts. They are beautiful pieces of art that are a huge part of the economy of this small town. I learned even more about it when I ventured out of this small mountain town and spent a night in the village of Te Van. 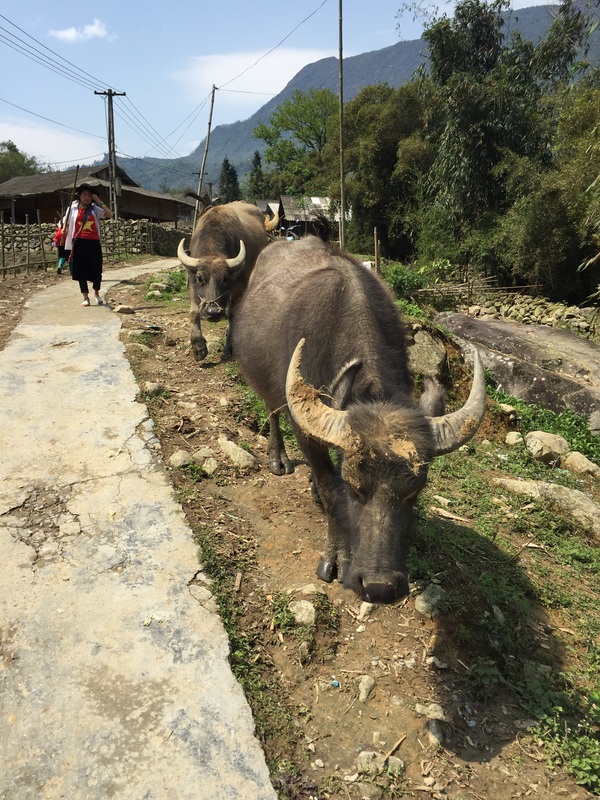 Many travelers will come out to these villages to stay at a home stay, and then hike between the villages to stay at another home stay. When I first heard about this cultural experience, I was really excited. It sounded like a place where you would stay with a family from the village, learn how to cook their traditional foods, and enjoy their company for as long as you stayed there. But this was not the case. It felt more like a hostel that was built around somebody’s home. They supplied us with a bed in the corner of the house that was sectioned off from the rest of the people by a blanket tied to a rope. They did cook a nice meal for us, but it was not the most memorable one I had on this voyage. The thing that made it great was the company I got to share it with. I met a nice family from Switzerland, and a happy couple from Australia, but once again my friends and I were the only ones from America staying there for the night. Even though I did not get the experience I wanted from the home stay, it does not mean that I did not enjoy my time there. I did get to go on a long hike through the hills. It started on day where the rain had pounded the fields early in the morning, and we each had to pay ten dollars a piece for a guide. At first I thought the price was a little steep, but I soon learned why it cost that much to make the hike through the mountains. The path through the rice patty fields and bamboo groves was carved from the mountains, and because of the rain had turned into mud. This would not have been a problem if it wasn’t for the fact that we were not traveling on a flat road. The path took us up through the hills only to bring us back down again. The guide was able to navigate these paths without too much difficulty to get us to the next village with ease. Each one of us also found a companion hiking with us. At first, I thought that they were just ladies who were being nice to hike with us through the hills as they made their way to wherever it was they were going, but I soon noticed that every time we stopped to take a break, they would stop with us. 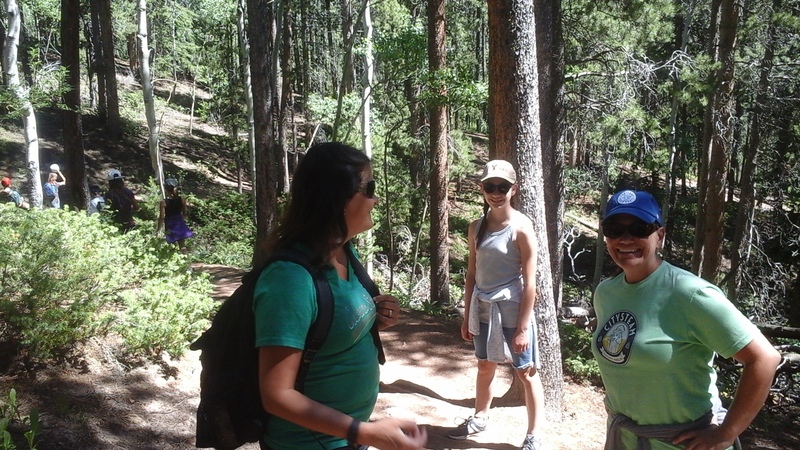 Eventually they helped us move through the muddy trails by holding our hands, especially when it got steeper. They carried this big basket on their backs and never slipped once which made me feel like a total scrub, considering I grew up in the mountains and usually have sure footing when I am in them. This is when it started to dawn on me that this is where our money was going to. After I considered that, the price of the guide did not seem that outrageous. Of course, when we made it to the next village, before we sat down to lunch, the ladies convinced us to buy some of their wares they were lugging on their backs. How could I say no, after all they did to help my friends and me make it through the mud. I do have to warn others who might want to make this voyage though. As soon as I bought one thing from the kind lady that helped me, it signaled to all others in the area that I had money and they swarmed me with requests about buying their wares as well. It is really hard to tell a ten year girl who is holding up a bracelet she supposedly made that you don’t want to give her any money, but in the long run, she will never be able to improve her lot in life if she continues to peddle products on the street instead of being in school where she belongs. It broke my heart to see it but I knew it was the right thing to do. The older ladies trying to get me to buy things didn’t get the same kind of sympathy, plus I didn’t have enough money to buy something from all of them. 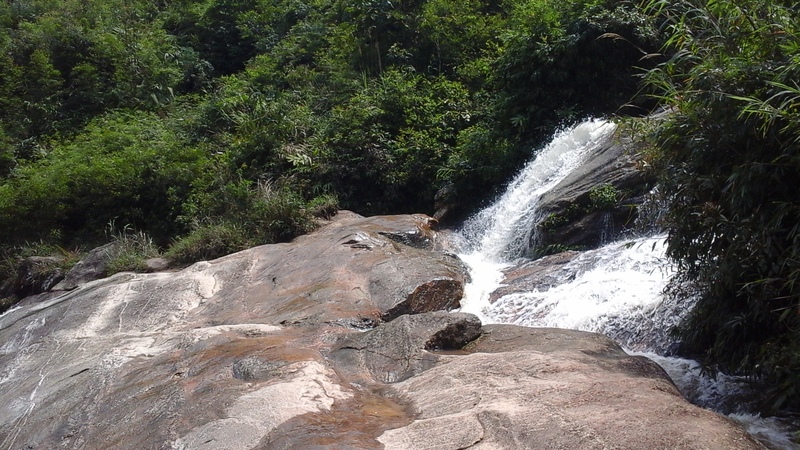 We eventually got back on the path and it took me to one of the most beautiful spots I had seen on the whole trip, a waterfall that wove its path down the tall mountain. 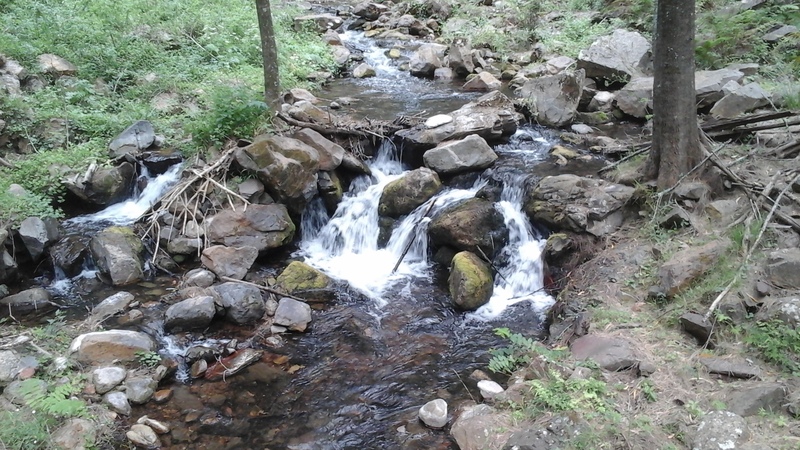 An outcropping of rocks allowed for a relaxing spot where I could lay out and listen to the rush of water as it passed by. It allowed me to clear my mind and absorb all of the things I had experienced and comes to terms with it as it related to my life. Sometimes, I get so wrapped in my daily duties that I completely forget about my place in the world. I start to think that I hold a greater importance than I really do, but there is a whole world of people out there believing the same thing, and we can’t all be right. Sometimes I should just decompress to recognize that my problems are smaller than the ones that others are experiencing and the little things that I make a big deal about, I have no control over and they should be rushed away like the water pouring over that outcropping I found on that sunny day. I just need to enjoy the moments as they are presented to me. This is the real reason that I travel. So I respect my fellow traveler from Chicago who took his family out on an adventure far from the comforts of the United States. He came to the same realization that I did that there is more to this world than what can be found in the confines of the country we grew up in, and it is important to see them. It gives a true perspective of the world we live in and to our own lives. My hope is that more people take this risk so the world we live in becomes a smaller place, and we can start to heal the wounds that are dealt between us. 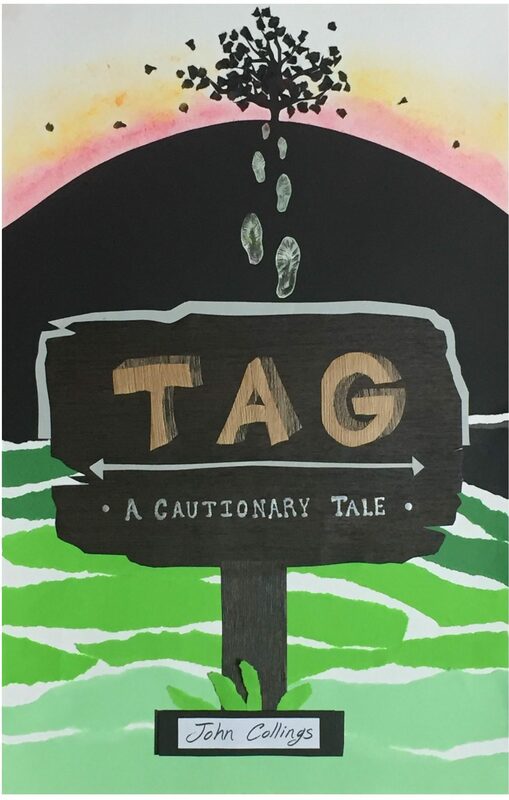 Brought to you by Tag: A Cautionary Tale. Posted on April 13, 2017 April 13, 2017 Categories TravelTags Ha Noi, Halong Bay, Hoan Kiem Lake, Sa Pa, Te Van, Travel, VietnamLeave a comment on Why Travel? It happens every December in the world of international teaching. The last grades are plugged in the grade book, students and their parents are consoled about the grades earned, and teachers flock in droves to the airports. Many of them look to head back to their homes so they can spend the holidays with their loved ones. Others look to escape the confines of the country hey are living to go visit one that they have never been to before. For me, it was a little bit more. 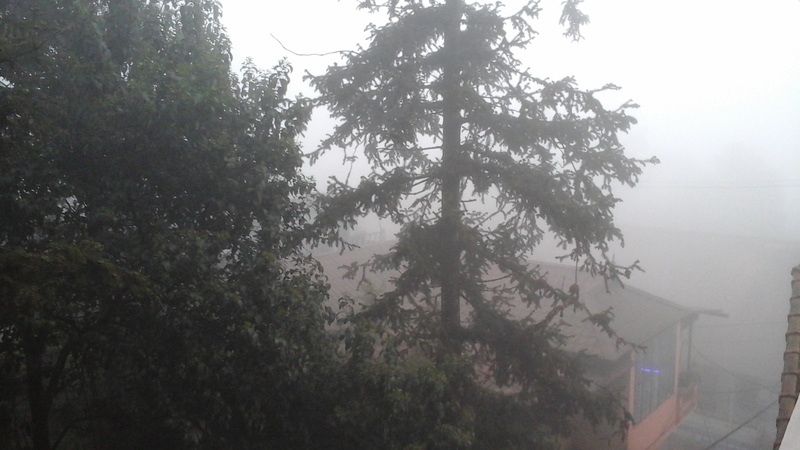 I looked to escape the cold winter of east Asia, and breathe fresher air. I looked for a place with a sunny clime with people open to the idea of waving a hearty hello and not hide themselves in their heavy coats and shawls. It was time to cross over the equator to once again find summer. This years Winter Break adventure led me to the palm trees of Australia. 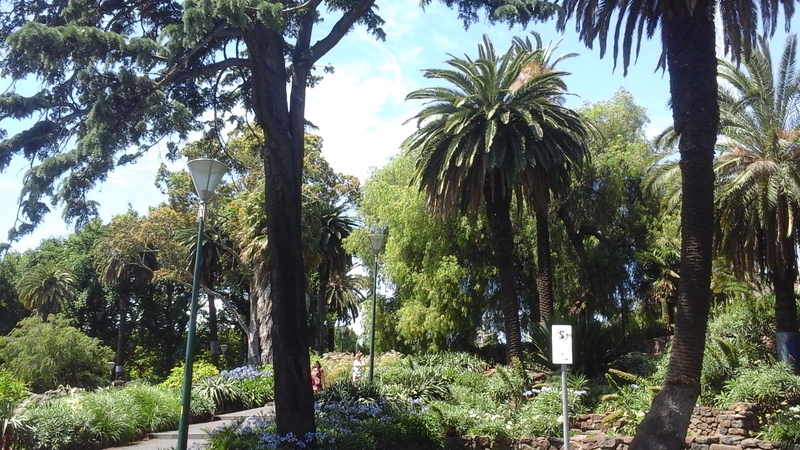 Actually I was surprised when I came across palm trees out there. It was not what I was expecting. In fact, I really didn’t know what to expect from the adventure. All my knowledge of the country came from 1980s movie in which somebody was being taken out of the outback to find themselves in New York City or strange apocalyptic sci-fi adventures involving the quest for gas out in the dessert. It didn’t involve beaches and European architecture. In fact, what surprised me even more was the warm and friendly people that I found there. This was a country originally started so the British could ship their unwanted criminals somewhere far, far away. This included a very eclectic group of people. There was a woman who after her husband was hung, she carted his body back to her restaurant to display it in the front window as a sort of advertisement. There was a gang who decided the best way to protect themselves from a police onslaught was to forge their own medieval armor and used it to deflect bullets. These were the people that started this great nation. So what happened to turn them all into the nicest and friendliest people on earth? How did the harsh environment, the unwelcoming locals, and the original intent turn into something completely different? It might have had something to do with the phrase repeated by many of the Aussies we encountered, “No worries, mate.” The phrase is almost a philosophy of life to them, and by adhering to this rule you can’t help but to become subjected to the laid-back attitude of the country and just go with the flow of the people around you. It made for one of the best vacation experiences I have ever had. 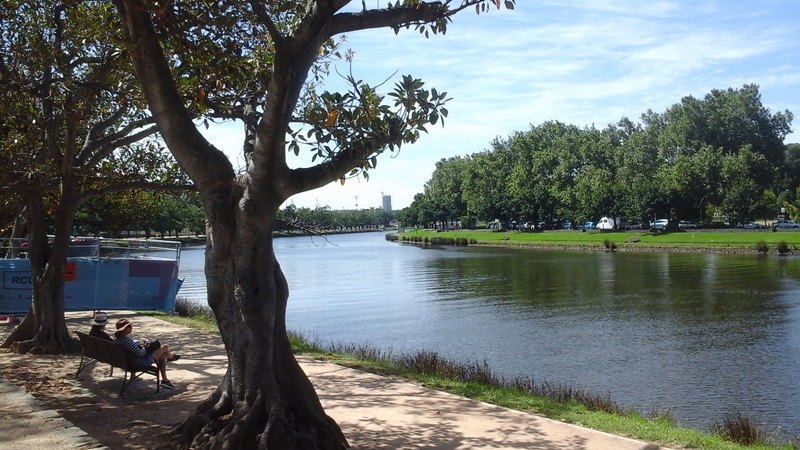 I started my trip on the southern edge of Australia in the city of Melbourne. It was rewarding to the see the green of summer dancing before my eyes. It made me forget about the craziness of the holiday season taking place in the northern part of the world. Of course there were still small reminders that it was still in progress. Banners hung in outdoor shopping malls with pictures of candy canes and toy soldiers wishing everybody a Merry Christmas, but somehow they seemed out of place. But I chose to take the Australian approach to it, and not worry about it. Instead, I took the free city tram all over the downtown area and enjoyed the holiday season in style. 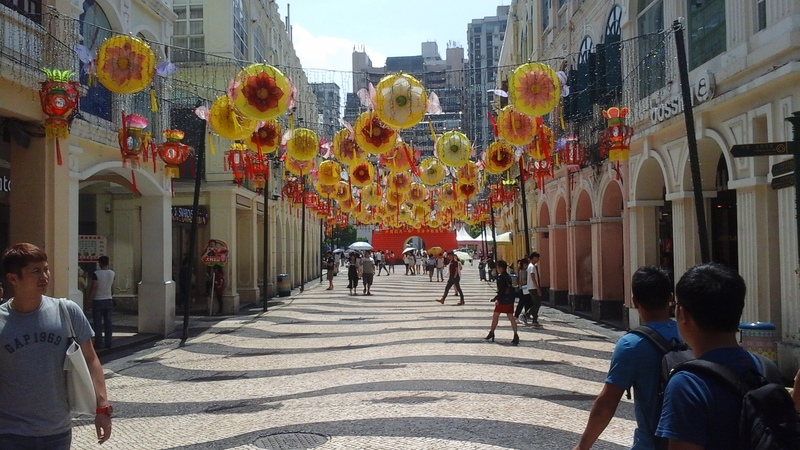 I strolled through the city streets basking in the happy chatter being bantered about by various languages from the people enjoying their time in the place. I ate wonderful food and appreciated great art. One of my favorite moments came from when I was able to sit in Federation Square, sipping a coffee while watching a free showing of Elf on the big outdoor screen. Once again, it felt a little out of place but it was still a great way to spend an afternoon. 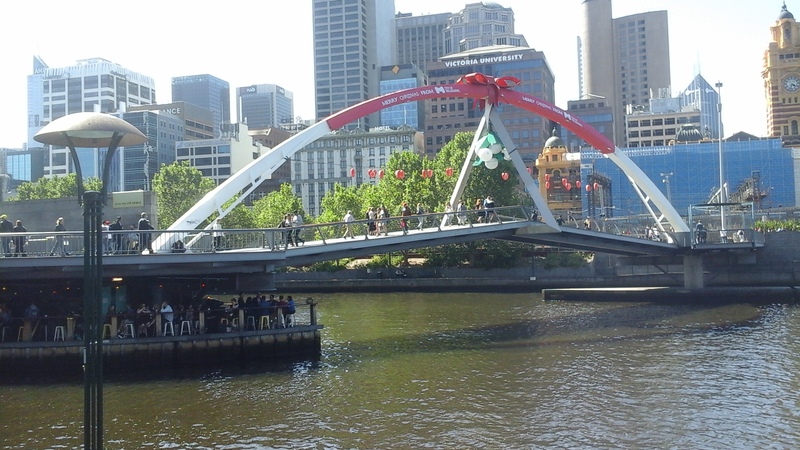 Melbourne is a great city with great architecture blending the classical styles of Europe with modern designs to buildings and bridges. It gives the city a feeling all its own and it is one of those places that will be a great place to go back to years from now because it is still growing. There are many pockets of the city still in development and will have a surprising new vibe the next time I visit. The roads through Australia are great as well because they do not always lead to another big city. 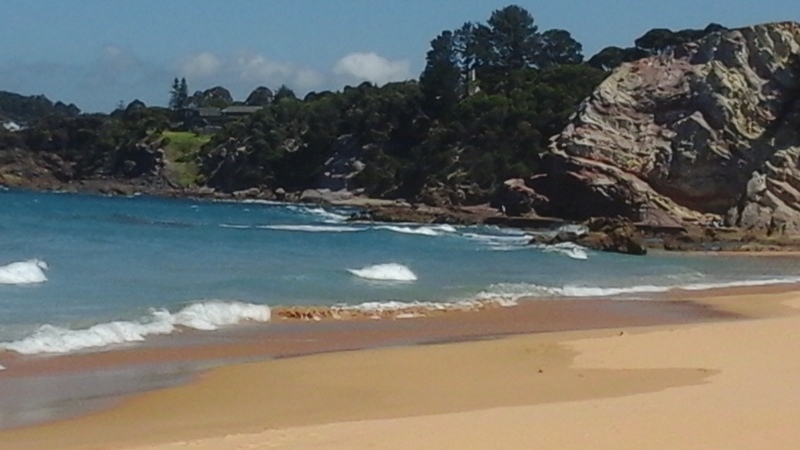 There are many places along the coast which surprisingly are not shown in the movies from this country. Its stunning landscape would look great on film, instead of the desolate interior usually portrayed. 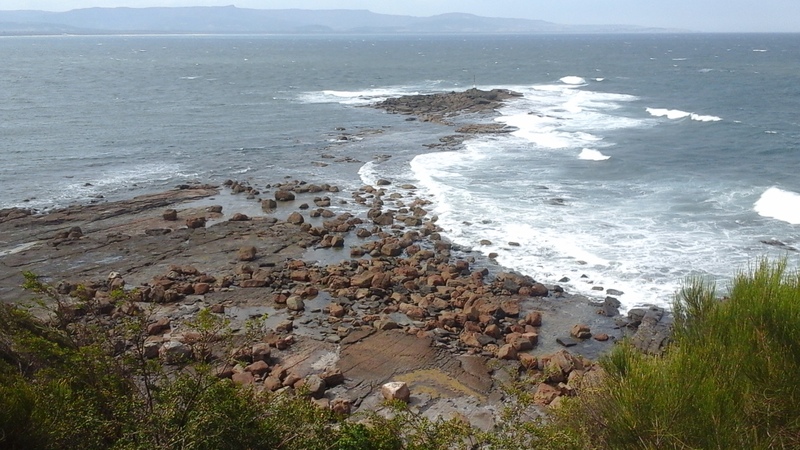 This coastline also comes with some amazing stretches of beaches. The water is welcoming and warm, the sand is soft, and these beaches could rival some of the greatest resort countries in the world. They are a huge draw to some of the top surfers because the waves that crash into them are the perfect example what a wave should look like. 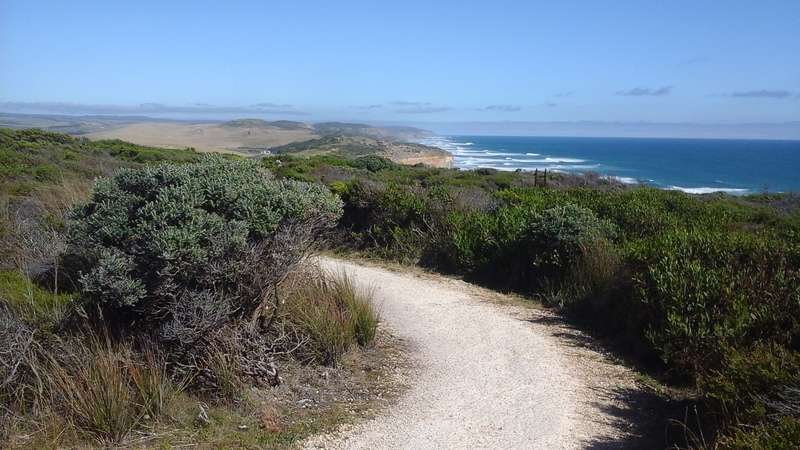 One of the best places to see this coast is along the Great Ocean Road that ends in the town of Port Campbell. This is another place in Australia where the landscape is in constant flux. The massive waves are constantly crashing into the seaside cliffs and pulling them into the ocean. There are a group of rocky pillars formed because of this action called the Twelve Apostles. The funny thing is there are only nine of these structures in the area. There used to be twelve but the seas washed three of them away. But don’t worry, the way thing are working a new three will form probably within our lifetimes. From there we drove past Melbourne to travel across the eastern coast of the country. 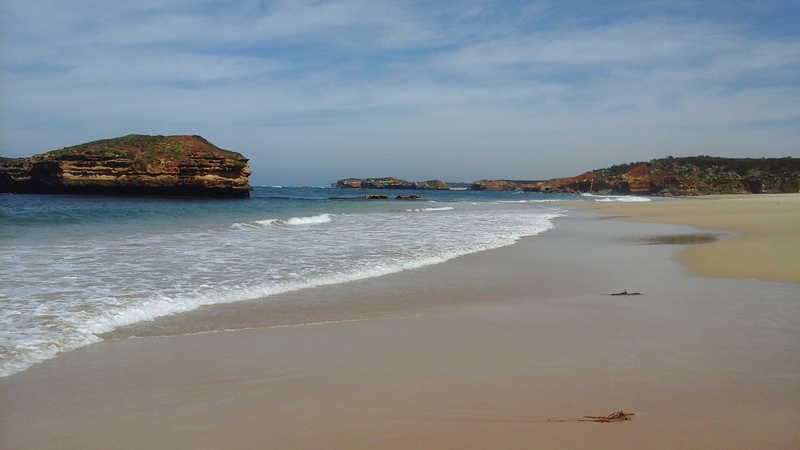 It is one of the more touristy parts of Australia because in this small section of the land there are more beaches than anywhere else in the country. At least this is what I was told by a nice lady in the town of Colburra, one of the small havens along the stretch of highway that reaps the benefits of this small little fact. 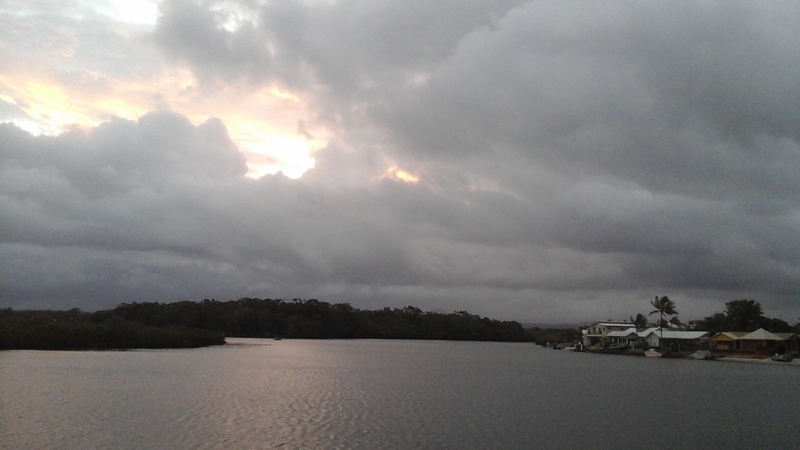 It was one of the three towns that we stayed in on my trip up the coast, the other two being Lake’s Entrance and Eden. 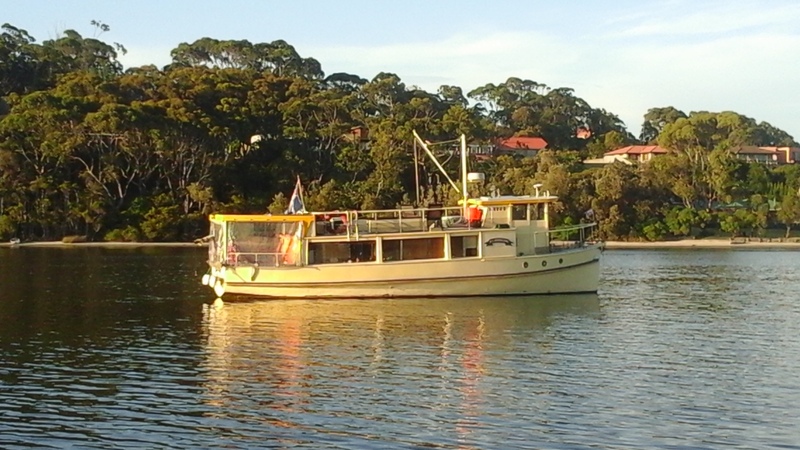 It made the trip up to Sydney more relaxing instead of trying to squeeze the voyage into one day. The car rides were only a couple of hours in length and when I arrived in town I got to enjoy the comforts of the beach as the heat of summer started to sink in. The only thing that I would change about this part of my voyage is when I did it. The three towns basically covered the days of Christmas Eve, Christmas Day, and Boxing Day. These are three big holidays in Australia, and just like in the United States, many people would rather spend these days with their families rather than working in restaurants or grocery stores. Because of this, food became scarce, and a little planning was in order to make sure that I had enough to eat. Christmas dinner might have been the weakest I have ever experienced as I made peanut butter and jelly sandwiches, but there were some pluses for taking this part of the trip during these days. At many times, places with great beaches become crowded quickly, and I can’t blame people for flocking to these sandy retreats. It is the same thing I was doing on my vacation, escaping from the cold winter of Seoul. I just wanted to find a comfy place in the sand where I could lay down my towel for a little bit while enjoying the surf crash. Every once in awhile when I felt the need or things got too hot, I would rush into the water to cool off or to play with those waves. For a boy who grew up next to the mountains, it is always enjoyable to be given this experience. It helps to wash all of my worries away. 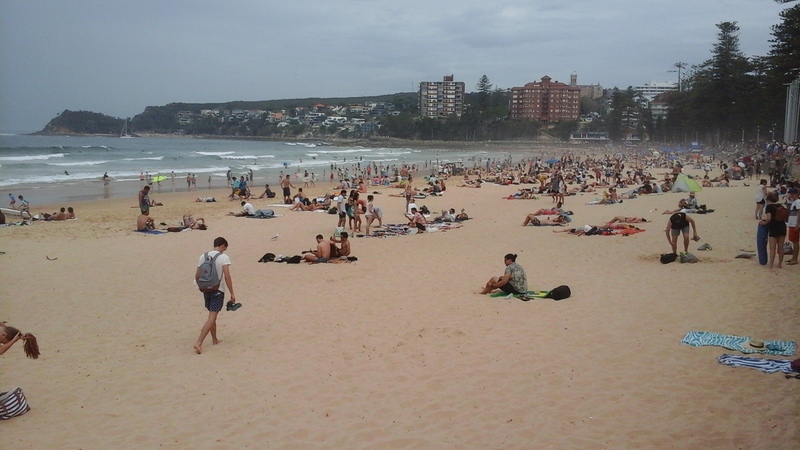 Sometimes these crowds can bring stress to a place like this, but on the day of Christmas, I went out to one of the beaches. The same reason that people had closed down the stores and restaurants also kept them away from the beaches. Of course, a couple of stragglers came down, but it’s obvious from the above picture and the one below how much of the beach was mine as opposed to just a few days later. But beaches aren’t the only thing Australia has to offer. 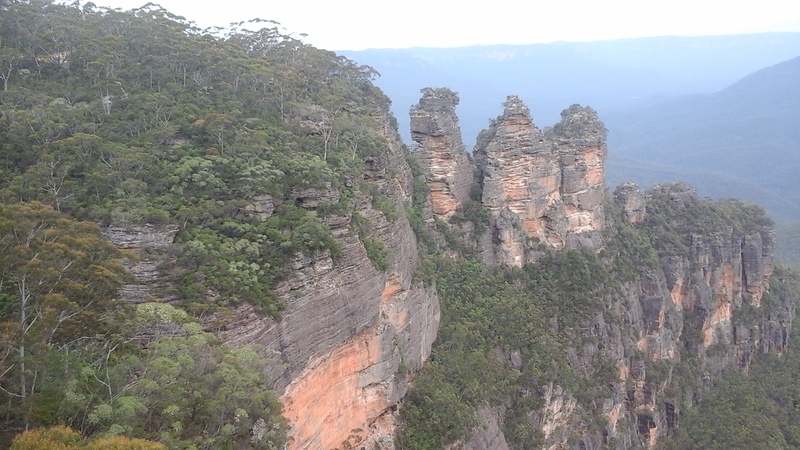 Before I made way into Sydney, I veered to the west into the Blue Mountains. I was really excited to see these. Being in mountains has always made me feel at home. These were not the Rocky Mountains though. Yes, technically they were mountains, but I would still place them into the realm of rolling hills. This does not mean that they still did not have majesty, making traveling up to them worth the trip. There were many times I would be strolling around and turn a corner to see crags jutting out of the ground in spectacular form. They were also covered in a green that could never be replicated in Colorado. If you ventured even further into the mountains, they offered some of the most dramatic caves I have ever found anywhere in the world. They rival the famous caves of Carlsbad, New Mexico, offering spectacular rooms and startling structures. The hiking and the spelunking made me feel like I was back in the Rocky Mountains except the nagging feeling that it was December and I should be skiing through the hills instead of hiking through the green beauty they offered. There were lakes and streams just begging for me to sit next to them and allow all of my worries to drift away. But there was one worry I could never wash away. I had a very important place I needed to be on New Year’s Eve. It loomed large on my bucket list. I always wanted to be at one of the places that exploded in sheer celebration the moment the clock ticked down to one on that fateful night. It would give defined closure to the year, and even though I am a firm believer that nothing changes on New Year’s Day, this is the one year that I felt I needed to put things behind me. There were too many important deaths, too much ugliness from politics, and too much stress from work. 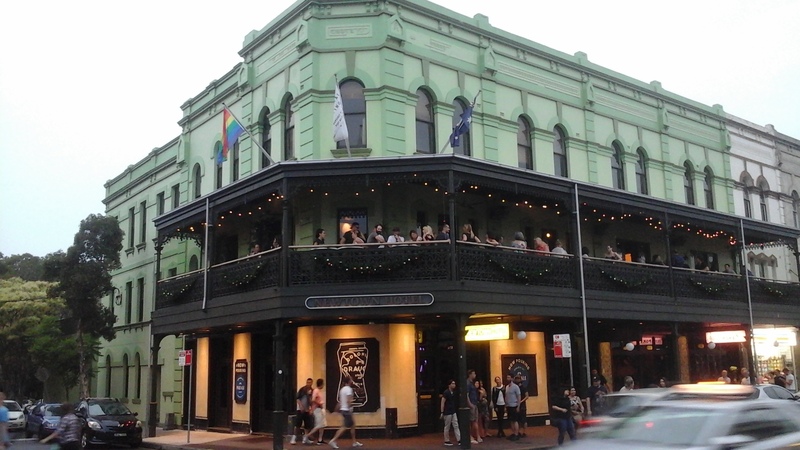 Sydney was the place to go to have the definitive moment in time I was looking for. There are advantages to this place as opposed to the typical ones in America. Not only does it have an iconic place to watch the changing of the year, but it is not freezing. You do not have to stand out in the cold waiting for the clock to strike midnight. There are party places set up all along the harbor with great viewing spots, so even though the crowds do come, you do not have to fight through them to find your place. They even serve drinks and food, and provide chair rentals so you can enjoy it in comfort. 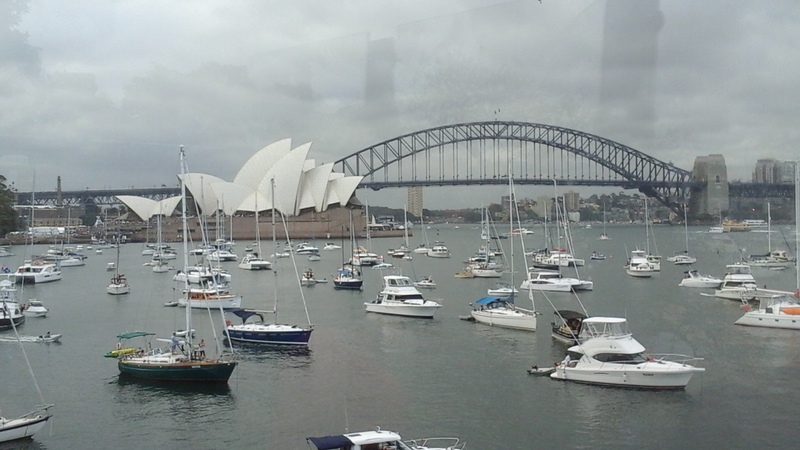 There were a couple of things that made my visit to Sydney a little more stressful. Prices were absurd. The cheapest hotel room we could find during the week was $700, and a nice meal by the bay can run $100. But we had this covered as well. 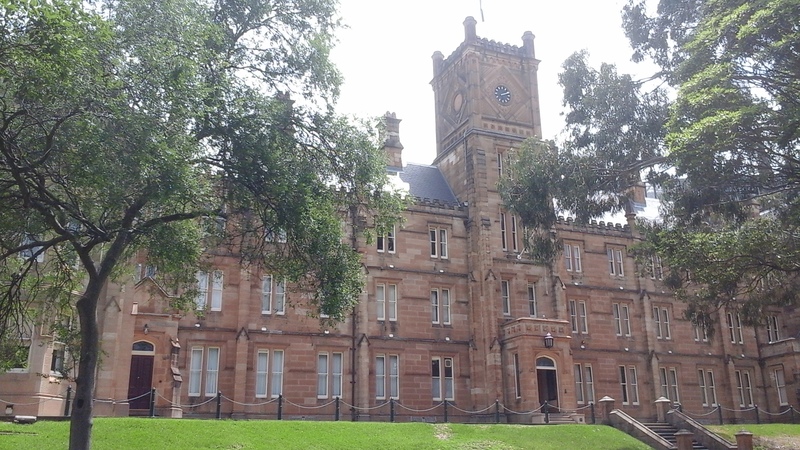 The University of Sydney is on summer break right now, and you can rent one of the dorm rooms for only $150 a night that comes with the typical school breakfast of beans, eggs, bacon, and most importantly coffee. It is located in a great neighborhood that is only a fifteen minute train ride from the bay, and it has some great bars and affordable restaurants that are more appealing to the more thrifty traveler. 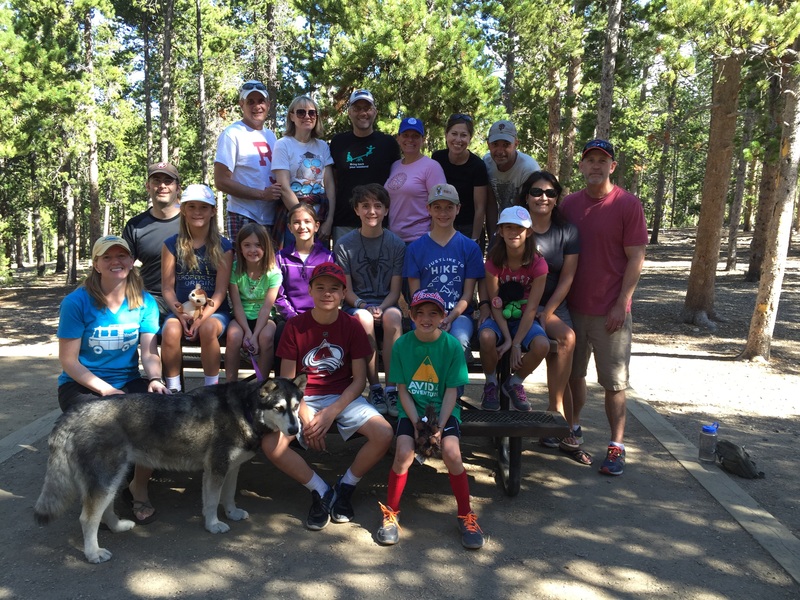 These great finds made what could have been a stressful part of the trip, worry free. 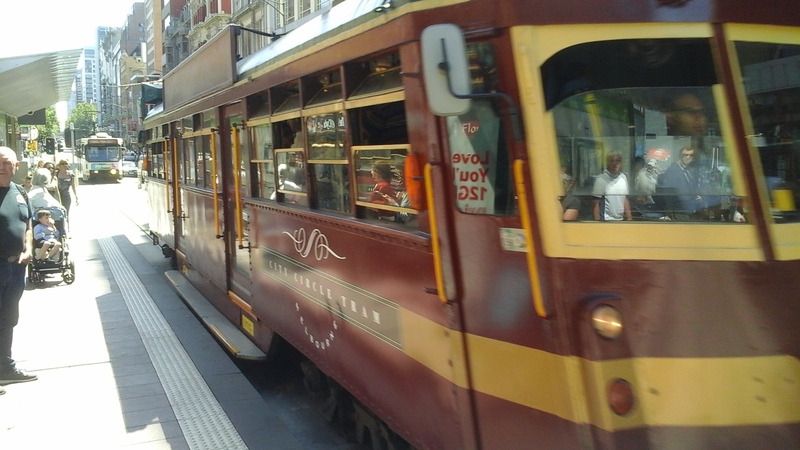 The time I spent in Sydney was fun and adventuresome. Besides watching the amazing fireworks, I was able to relax on Manly Beach, tour the Opera House, and climb the Harbour Bridge. Even though it was enjoyable, after a bit I got those itchy feet again and had to move further up the country to the Sunshine Coast. This part of Australia would be comparable to Florida. It took some adjustments for somebody from the Northern Hemisphere to think about driving north to warmer climes, but by the time I got there I didn’t care much about this down under way of thinking. 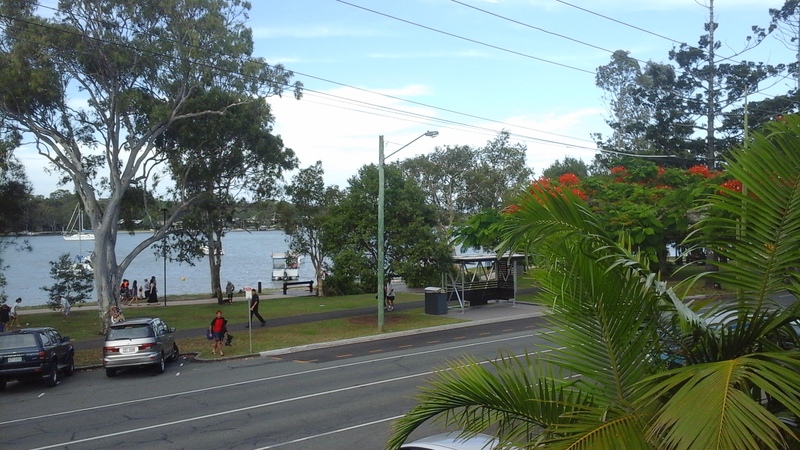 I was just happy to find myself in the sunny town of Noosa. This resort town on the edge of the Great Barrier Reef is a great draw for people all over the world. Many languages can be heard from the trails of the national park to the tourist filled beaches. The town also offers shopping for those rainy days, and a plethora of water activities to do from kayaking, surfing, boogey boarding, jet skiing, and just tooling around on a speed boat. 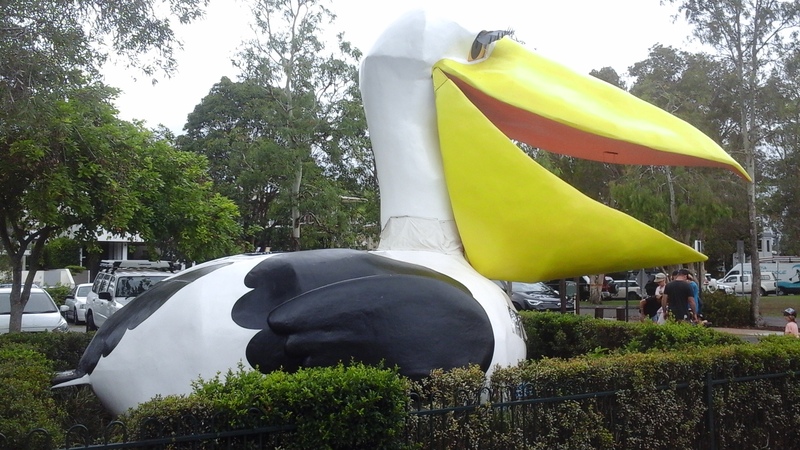 It is the play area of the Australians, and even though we came out during the height of the tourist season, it was not enough to discourage us and ruin the fun we were able to have here. As the clouds of reality started to filter back into my life reminding me of my responsibilities back in the land of winter, I was able to reflect back on my journey through the land down under. I came to the realization that the philosophy of the people there is one I should adopt. Yes, we will have moments where we are troubled by our cares and worries and we lose sight of how wonderful life can be. We need to brush those worries because they will eventually resolve themselves and we can go back to the life we love. Bizarre moments will happen in our lives. 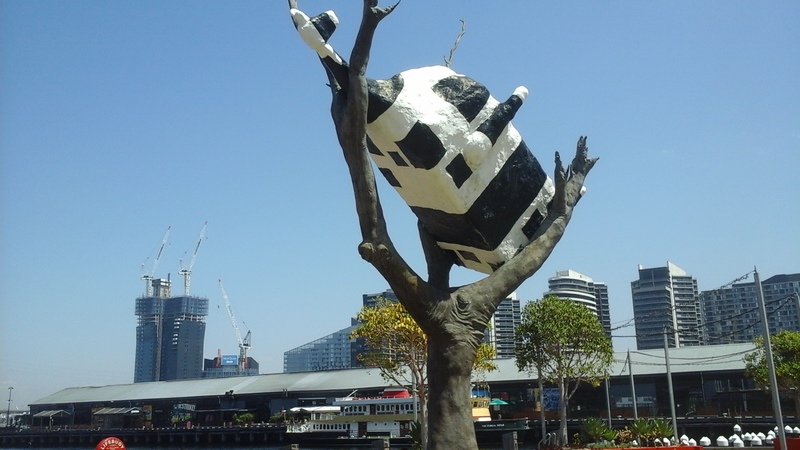 Cows will eventually get stuck in trees (real name for this piece of art on the waterfront in Melbourne), and we will stare up at that cow and wonder how it has gotten this far. There are many Americans pondering that same perplexing thought right now. But eventually the tree will break, or the cow die, or we will take a picture of it to laugh at later and forget that it actually happened. The point is, don’t worry about it. It is what it is, and there are better things to concern yourself with. If you look out your window and down on the streets of your neighborhood, or the area where you work, you expect to see a diverse population moving about their business. You believe that your community has people from different backgrounds, from different cultures, and from different heritages. If you are in America, you believe that this melting pot of people is part of the reason that the country has grown into what it is today. But take a closer look at those people as they pass by your window. Is it really as diverse as you think it is? Do you really see a huge mixing of cultures, or are you only imagining it because this is the way we have been taught how to think? I know that when I look out my window it is not a vast collection of cultures, but then again I live in a place where this melting pot idea has not taken root yet. Some people would claim that this segregation of cultures is one of the downfalls of the American society and something must be done about it. But how are we to combat this problem if we are not the ones who segregate ourselves? Look at a lunch room at any local high school and you will see a phenomenon that will make your stomach turn. The cultures that you believe should blend so well together move to different tables to be with like-minded people. You can’t blame these people for doing this. It is a scary thing to get up from one table full of the people you are comfortable with to make that huge journey over to the next table of people who might not see the world the same way as you do. What if they don’t bring you into their fold? What if they don’t listen to the new ideas that you have to offer them? What if they shun you for being different, or even worse, what if they just kill you? It is better to stay put with like-minded people and not deviate from the place where you find comfort. There is no place on earth where this mythical blending of cultures exists anyways. I have pondered this problem for many years wondering if there was ever a way to create a society of diversity that would be accepting of others and was about to give up. This was until I visited the city of Hong Kong. This is where the melting pot of the world happens. I have never seen such a blending of cultures in my life. Any corner you turned would introduce you to a diverse group of human beings speaking different languages, practicing different beliefs, wearing different clothes, and yet still managing to get along. How could this be possible? It went against everything I had observed so far in life. What event brought all of these people together to work towards one common goal of bringing a great city up from the depths of a small fishing village? It must have started with the British occupation of the town. 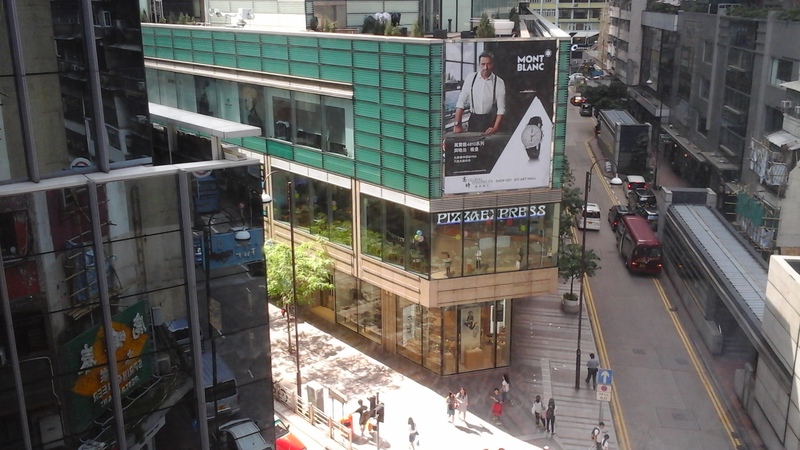 Even though diversity is present in Hong Kong, there are still two major influences occupying this city, that of the Chinese and the British. The clashing cultures seemed to find a way to work together in harmony, and I hate to say it, but the thing that probably brought them together was the concept of money. 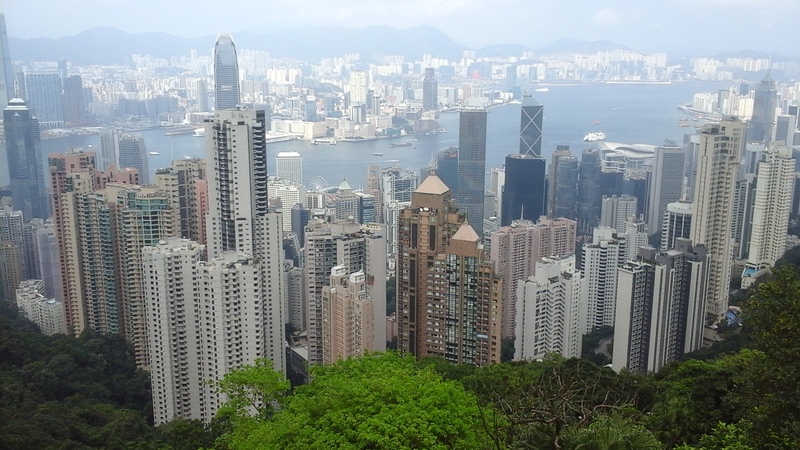 Hong Kong is definitely one of the economic hubs of the world. It makes sense due to the fact that it is nestled in the perfect location for shipping trade between Europe, Africa, Asia, Australia, and even North America. Goods and supplies must have come in and out of this location for years, but it would not have happened if it was left under the control of the Chinese. This is not meant to criticize that culture in any way, but it has only been in recent history that this country had opened its doors and was willing to let visitors in to witness its greatness. If the British had not colonized this small portion of the country, it would have taken a lot longer before people could have experienced their unique brand of culture. It would have been as closed to the world as the rest of China had been. Combine the British colonization with the economic rise that this city experienced over the years, and it is no wonder that more cultures found their way to this place. They all started to work together to develop the city into this fiscal giant it is today, as well as the true melting pot of the world. So now, when you visit this bustling metropolis, it is easy to experience many different corners of the world all at once. Hong Kong doesn’t only leave its mark on the world financially, but it is also one of the greatest film producing cities in the world. I did not know this when I came to visit here, but after walking around for a few minutes, I quickly realized that I was in the East Asian equivalent of Hollywood. 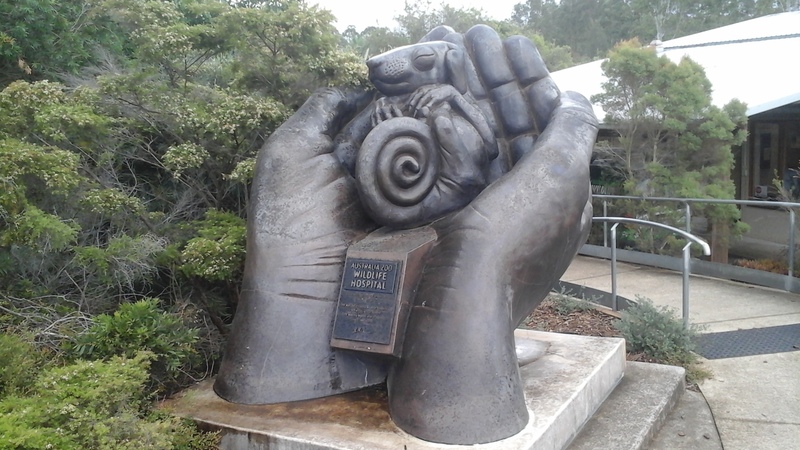 Pictures and statues dedicated to the legends that this industry has produced are all over the town. There is a walk similar to the one in Hollywood where you can see how your hands and feet match up with some of their greatest stars. And if you happen to be in the wrong place at the wrong time, you will be asked to wait as a film crew pieces together a scene that will be used for an upcoming blockbuster. I was lucky enough to experience this on the first day I was in town. As I was checking into my room I looked out my window and watched as a film crew shot a scene on the busy streets of Kowloon. Once again, it was an aspect of the culture that I was not expecting. I was also surprised at how green this city was. Not very often do I think of a city in the protection of China as having the ability to take care of the nature that surrounds it. 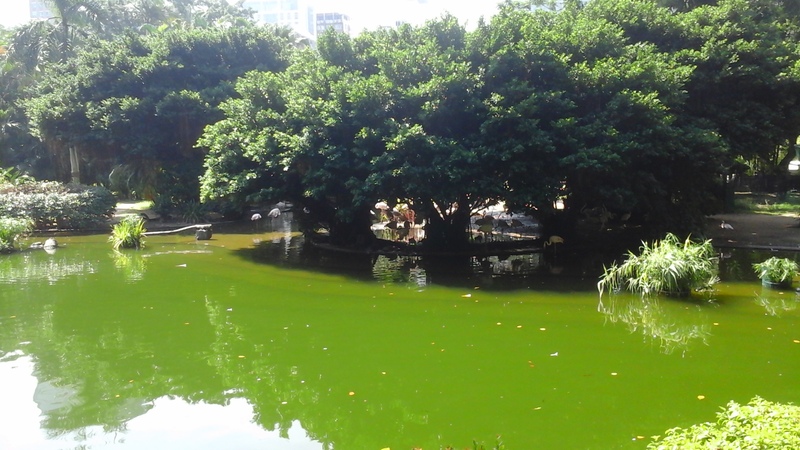 Expansive parks are in the middle of the city inviting you to take a leisurely stroll through them. You no longer feel like you are walking through one of the largest cities in the world. There are even surprises along the way. What you thought was just a pond placed in the middle of a park after further inspection would reveal that it is actually the home to flamingos, another inhabitant that I don’t believe is indigenous to the region. While I was walking the streets of Hong Kong, I started to believe that there couldn’t be a place more diverse than this place. But on a day trip from there, I soon discovered I was wrong. I traveled over to the city of Macao. This took an hour to get there by high-speed ferry. 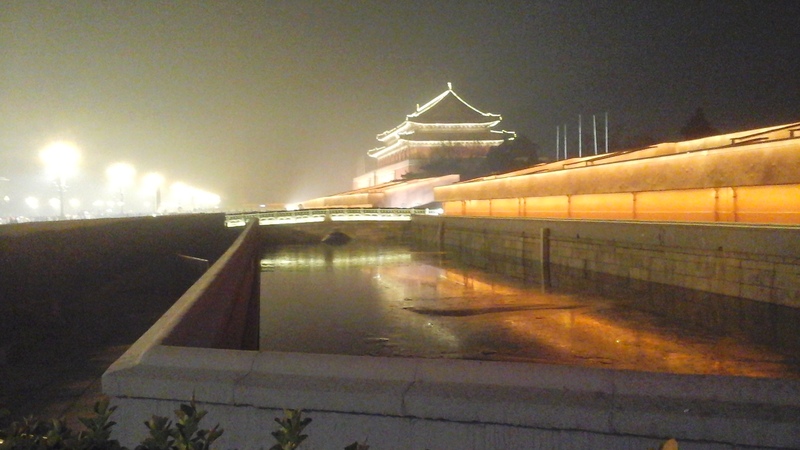 It was another city in the China region that was influenced under the sphere of another European country. This time it was Portugal instead of Britain. 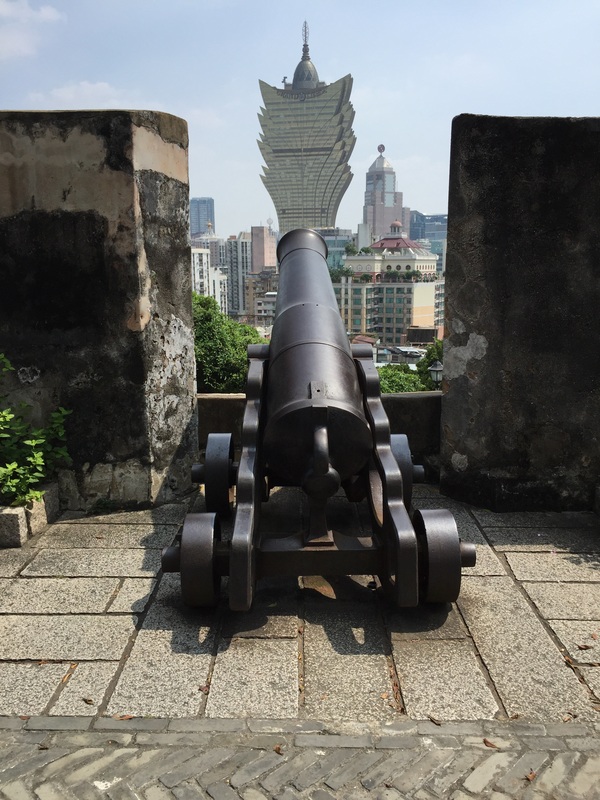 The difference was that this city did not become the giant economic powerhouse that Hong Kong had become, and because of this, the flavor of this city is different than the one I was staying in. First of all, the Portugal influence is huge. There are city squares placed strategically all over to allow the fine citizens of the city to congregate and the merchants to sell their wares to visitors. These plazas are still there and in recent years they have undergone some revitalization to attract more visitors. It has worked because these are now the central meeting places in the city. Besides the city layout, other Portuguese architecture can be seen here and there. St. Paul’s Cathedral was one of the first Catholic churches built in East Asia, and the Jesuits opened the first university in the area as well. Sadly, early in the 19th century, the building caught on fire, and all that is left is the façade of the building. It is now one of the biggest landmarks and the greatest tourist attraction of the city. There are thousands of people milling on the steps of the cathedral to take picture and stroll further up the hill to the other structure that reminds visitors of the colonization of this city, the old fort that was built to protect the citizen of the town from would-be invaders. It is quite the fortress on what used to be the highest point of the city. Of course, modern buildings have overtaken the peak’s high point, but it is still interesting to wander around this structure’s great vantage point to see the various parts of the city that have been left behind. This is when you start to see how diverse this city actually is. The first thing that you notice are the collection of buildings situated near the ferry terminal. They seem a little out of place, almost like the Portuguese ruins. This is because they are replicas of the casinos that you would find in Las Vegas, Nevada. It is as if a piece of the United States has been placed in the middle of the East Asian city. When you start to think about the economic structure that has been set up by the modern Chinese government, it sense of irony really starts to bug you. This bastion of capitalism really seems out of place in a country that has lived by the precepts of communism for so long. It adds more to the mix making the argument for the most diverse place on earth even stronger. 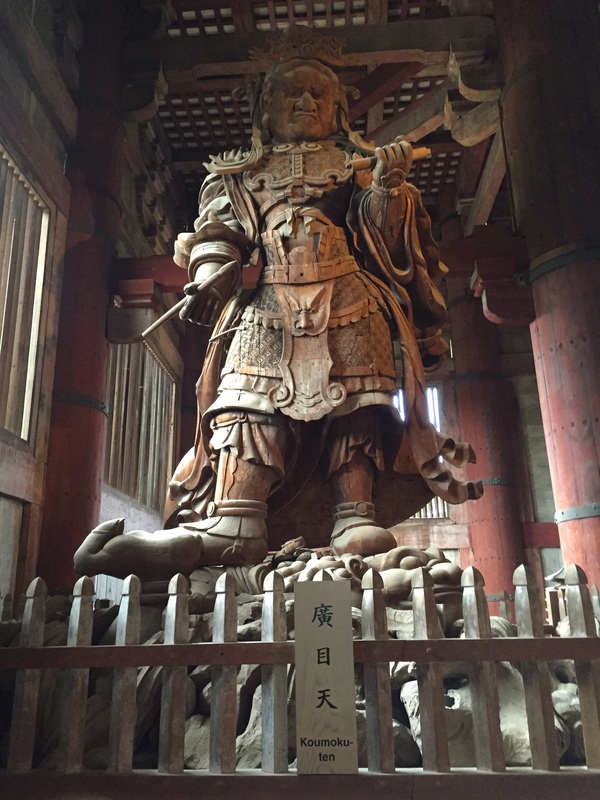 There is still, of course, the various temples to old Chinese gods, and Buddha. The biggest one is the temple to A-ma on the southern tip of the island. It is an old maze of stone staircases, and shrines that ask practitioners to light some incense to pay homage to the god of the fishermen. By doing so, it ensures that the next catch they make will be a good one. It is amazing that this ancient temple has been preserved for so long. It makes you wonder about what that says about the strength of certain institutions and how some can withstand the test of time while others are only there for a shorter period. 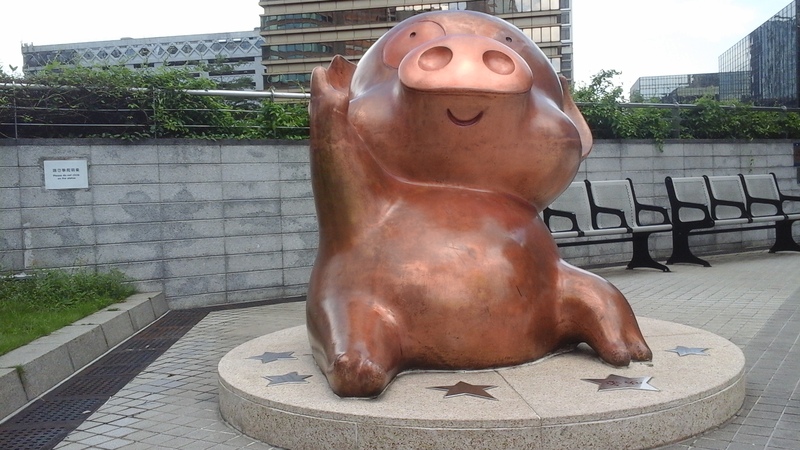 My trip to Hong Kong begged for me to search the path of enlightenment to find the true meaning of togetherness. Which path has led us to this ideal. Is it the great American melting pot, or is it Hong Kong? Should togetherness come through assimilation or should it come through acceptance? I know my trip to Hong Kong opened up my eyes to different possibilities, and I now must ponder the question further to come up with the better answer. Therefore, I will find a tree to sit under, gather up its shade and think about this as I travel this voyage to true enlightenment. I am now a month into my second year of teaching in an international setting. It has been easier this year to make the transition into the teaching grove. By this time last year, I was still wandering the streets of Seoul with my eyes opened wide believing that I was on some magical vacation that would never end. It wasn’t until later that I realized that this foreign environment was now my home and I needed to figure out how to work within its confines. I struggled with this during my first year, and it felt as if I was starting my teaching profession all over again. But then the second year came around. I touched down in Incheon Airport knowing exactly what I needed to do to get through customs. The bus to my neighborhood was now routine. I snickered and felt for the new teachers who wore the wide-eyed look that I wore the previous year. There was nothing that this country could throw at me that I couldn’t expect and handle. I was now a part of the team and I felt a sense of acceptance that I had not previously felt. The experiential education trip I was in charge of was going smoothly as the team the school had given me took on the challenge, leaving me to pick up some of the loose ends to make sure all the little details were accounted for. I could lace my fingers behind my head and lay in the tall grass without a care in the world. The trip would take care of itself, and there wasn’t much I needed to worry myself over. Of course, you know that this isn’t that kind of story. Nobody wants to read about a man without any problems. There has to be a monster lurking around the corner the man doesn’t know about that will bring about his demise. My monster has a name and it called itself Complacency. This idea that you are in control of your destiny just because you have done something before could be the most dangerous idea that you can allow to possess you. First of all, you are never in control of your destiny. There is always somebody, somewhere that will create a problem for you that will delay the path you have laid out for yourself. Secondly, without any struggle you never grow as a person. It was this look for a struggle that caused me to give up my comfy home in the United States so I could grow as an individual and a teacher, and here I was in my second year already believing that I had everything under control. I should have paid attention to the music industry’s warning about artists’ second albums. Critics always warn listeners about this album for any band or musician that exploded onto the scene after a successful first showing. They even have a name for it, the Sophomore Slump. These musicians who were so hungry for fame and finally got the chance to taste it, now had to create a follow up that lived up to what they had just done. They don’t know this though. After producing such a masterpiece, they believe they can do no wrong. They are invincible. They are creative. They are popular. Of course, all the drugs they are doing does not help them see what is really going on. What they eventually come up with does not come close to the fresh and original album they had just created. It falls flat because it is just a reproduction of what they had just produced earlier, and it is all because they became comfortable in the role that they were in, and chose not to challenge themselves to take a chance and move out of their comfort zone. They became victims of that beast, Complacency. Their devoted fans moved on because they felt the passion missing and no longer believed in the magic the band had produced on their first album. This was the trap that I found myself falling victim to. The group I was working with had taken over so many aspects of the trip that I could rest and reap all the rewards when everything worked out beautifully. We had just been on this same trip four months earlier, and it was so fresh in our minds that we could not possibly think of what would go wrong. If television has taught me anything, it is when somebody starts to think this way, something inevitably will go wrong. A series of logistical nightmares presented themselves to me two nights before the trip started. I soon found out that this was not going to be the same trip we were on last time. 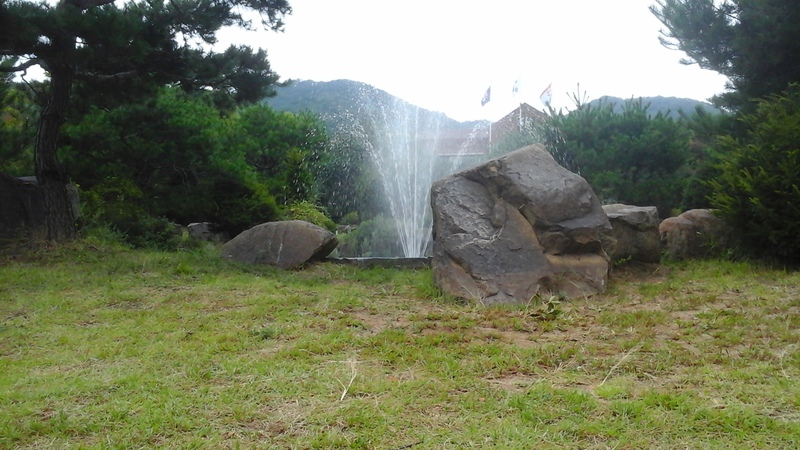 When we were at Boramwon last April, we had the whole facility to ourselves. This was not the case this time around. We were sharing the place with two other schools. I did not know all of the students we had taken with us because it was early in the school year, and I did not have the time to get to know them. Add into this mix a bunch of students running around from the other schools and I don’t know who I can discipline if I find them doing something out of line, and who I can’t. This was just the first of our problems. Boramwon then threw another ruffle into the mix. Our perfect schedule did not work with them because they did not have enough guides to cover our events as well as the other schools who were also going to be at the place. I had to rearrange things quickly, and found out that there was this huge spot left over where we had no activities planned for the students. I had to come up with a couple of new things that fit in with our overall theme of ensemble on this trip. Luckily, I had a member on my team who was a P.E. teacher and he was able to come up with a bunch of activities that could fit into this empty time slot. I thought even though we had a couple of minor bumps that things would be smoother from here on out, but that was not the case. The night before we left, I was told we had lost five of the dorm rooms we were going to use in order to house our students. I needed to quickly rearrange all of our dorms to make sure we could comfortably fit everybody into a room. Once again, another one of my group stepped up and made arrangements to make this work. There was nothing else this place could throw in my way to make things fall apart. This is when mother nature took charge. 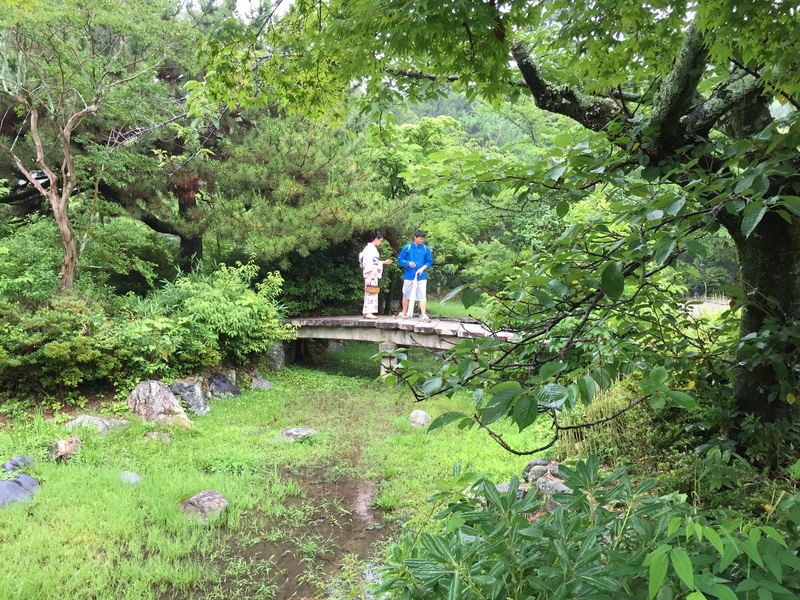 There happened to be a typhoon hitting the shore of Japan the same time we would be having our outdoor adventure. Now I know where I was taking my students to was miles away from this force, but we were close enough that there was a steady rainfall coming down during the whole bus ride out to the facility. We were not going to be able to do all the activities we were hoping to do. The hike would be a little dangerous, and the mountain biking would be a muddy mess with the challenging courses maybe a little too challenging with the weather. In fact, as soon as we arrived at the camp, we huddled the kids in the lobby of the dry dorms and I went to talk to the director of the camp to work out plans to keep the students safe and get the keys to the rooms. This is where a new wrinkle in the story comes along. We quickly changed our plans, and things looked like they would work out, but the place was holding our keys hostage. Apparently, just like United Airlines, they had overbooked. They needed somebody to give up some of their rooms, and we were the obvious choice. They wanted us to relinquish four more rooms on top of the five we had already given up. In order to make this happen, we were really going to have to pack these kids into the room, and at first, we were adamantly opposed to the idea. But then again, we couldn’t get into the rooms if they wouldn’t give up the keys. We had to work out a deal or put everybody back on the bus and take them back to the school. They had us more than we had them, and the only thing we could threaten them with was that we wouldn’t be booking any more business with them. With the struggle we had booking this place the first time around, this was not really a threat that they would consider. We eventually gave into their demands, and tried to make the most out of the experience we had designed for the students. That is the thing I learned from this trip that I could apply to every experience in life. Even if I have done something before, and believe that it should be easier the second time around, there is still an element of an uphill battle that I will have to deal with. This is the problem with being complacent about each of these challenges. When you lie down, the hill looks like a gentle plain, and perception does not change the rules of gravity. You need to pick yourself up to take on the challenge because you will be able to handle it a lot better standing up than lying down. Granted, even though I came into this trip thinking that it would be really easy, and the unsuspected troubles surprised me, we were still able to put together a great trip. I really want to emphasize the word “we” because this was not a solo effort. There was a great group of people behind me that never lost sight of the ultimate prize. They also were ready for the challenges thrown our way, and I am glad that they were able to pick me up to make sure that I contributed my share to solving all of these problems. 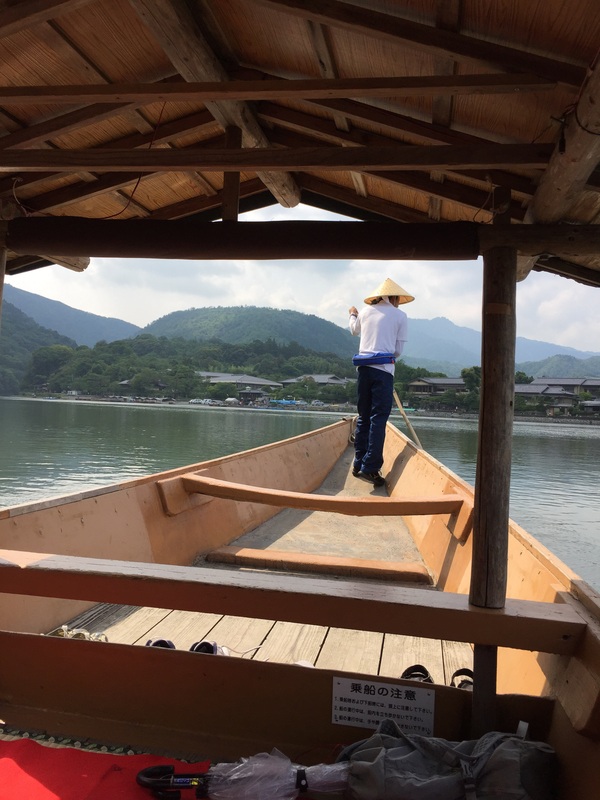 I learned as much from this recent experience that my students did, and it makes this experiential education trip one of the most memorable ones I have ever been on. My students got a lot out of the experience as well. The bus ride back to school was one of the quieter ones I have experienced. 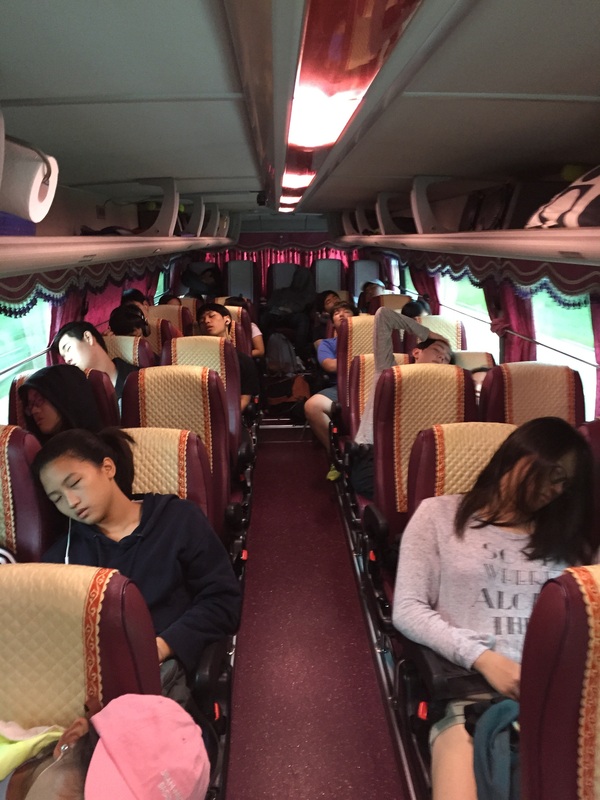 They were all worn out, and a lot of that was because we made sure that each moment was filled with adventure and excitement. Of course, there will be moments that they did not enjoy themselves, but when they look back at this weekend they will remember some of the fond ones, and they will realize how they have grown as an individual, just like I did. 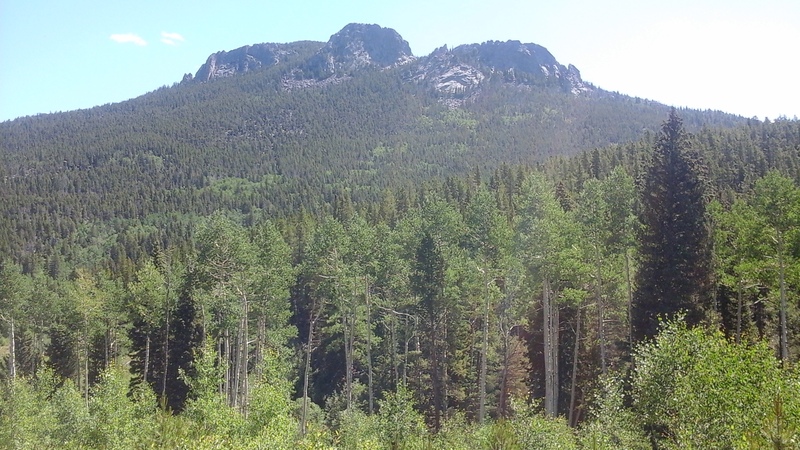 When I think about the place where I am from, the thought of the Rocky Mountains instantly pops into my mind. Ask anybody who grew up in Colorado, and they will tell you the same thing. There is a purple outline of them always stretching out in the distance any time you look to the west. Even at night, when you cannot see them, their comforting presence is there. It is something that you start to take for granted the longer you live in the state. Even a visit through its winding path and majestic grandeur doesn’t always impress you the way it once did when you first were able to witness them. But you should never take those stalwart things in your life for granted. You should treasure every minute that you have with them because you don’t know how it will make you feel when they are no longer there. I recently had lost the luxury of staring at these mountains for a whole year, and I was lost because of it. I know Coloradoans will joke that is because I could no longer find west, and there is some truth to that. I have spent my whole life relying on this natural compass to help guide me through the streets of Denver, so now, when I look for west and can no longer see the mountains, it leaves me a little disoriented. But it is something more than that. It was that sense of have something strong and immovable suddenly no longer there; it was that sense of loss; it was that sense of being some place out of my comfort zone that caused this pain in my soul. So when I realized at the end of last school year that I would be heading home again, the longing in my heart grew stronger and I desired to see those mountains again to set it at ease. In my mind’s eye, I could see that purple outline in the distance and I desired to be back among its rocky grandeur. But the road back home is never short and many adventures needed to happen before I returned. My voyage home took me through Japan first. The hills there were beautiful and they reminded me of home, but the tree capped tops of these mountains were not the Rocky Mountains that I longed for. 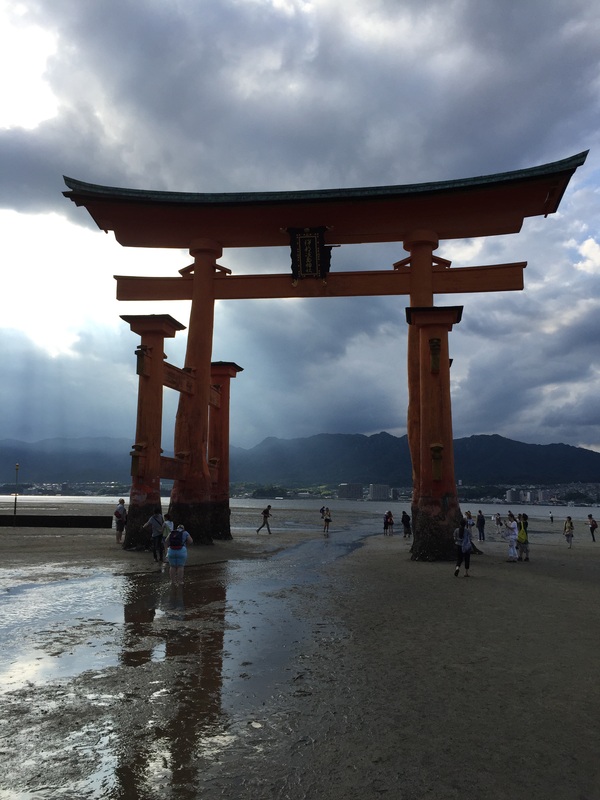 They made the longing for home even larger, but I needed to put that behind me and enjoy the sights of Japan instead. I always talk about how you should enjoy the moment in life and not worry about where you will be tomorrow because you will lose something with the experience, and here I was not listening to my own advice. But when the heart longs for something that advice is hard to follow. But whether I wanted to or not, I still had to follow it. I was not alone on my travels. My wife, Christine, and her parents were also along for the ride. Christine felt much the same as I did. She wanted to get back to the states and the thought of returning home excited her, but her parents were in a part of the world that they had never been in before, and they were looking for us to guide them through the experience. We had traveled to Japan eight years earlier and many of the places we were going to were the same places we had traveled to in the past. Though we couldn’t remember everything from that first trip, there was enough there that allowed us to show them some very exciting places. Kyoto was our first stop on our trip and it is an amazing place to start on the road through Japan. Every turn you take in this city is a cultural experience. You know you are in a part of the world that has preserved its ancient culture to remain true to its past. The cobblestone roads are clean and lined with shops, and restaurant house themselves in old buuildings. Some might think this is done just to help support the tourism needed in order to keep the city on the map, but that is not necessarily true. 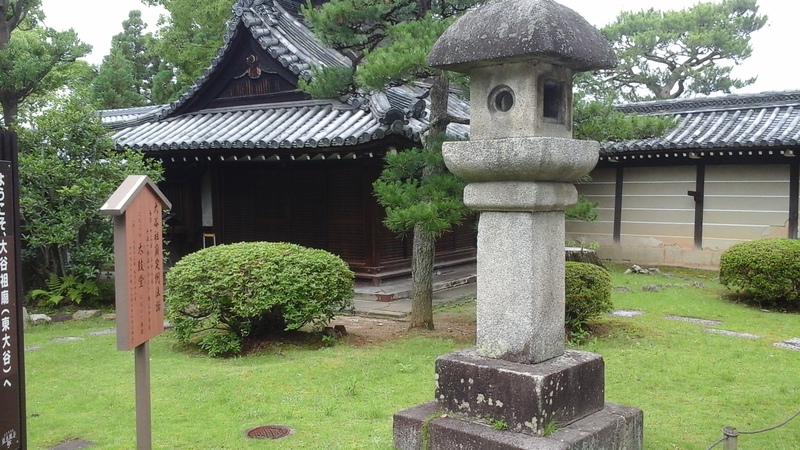 There are many times when I turned the corner and find myself staring at a Buddhist temple or Shinto shrine. They are all over the place, and they are not just there because they were built years ago and it still brings people to the city to witness its culture. People come to these places to worship and connect with themselves spiritually. The Japanese possess an amazing ability to blend together two ancient religions into one. 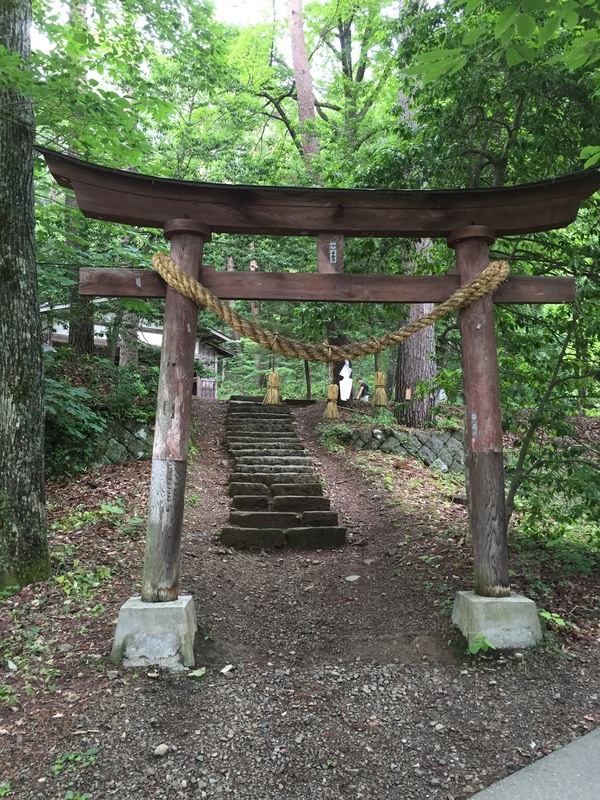 You see in many Buddhist temples and their surrounding grounds the shrines to nature that is connected to the Shinto belief. 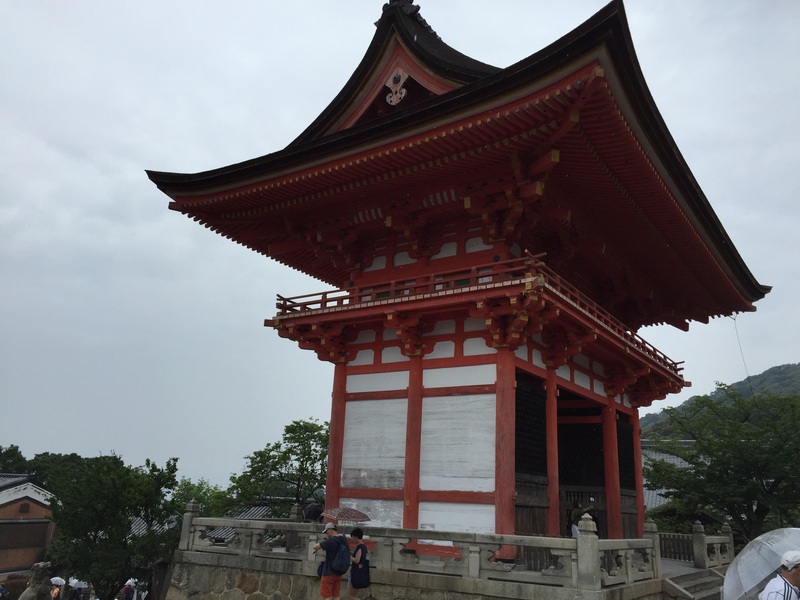 A great example of this is the Kiyomizu-dera Temple. 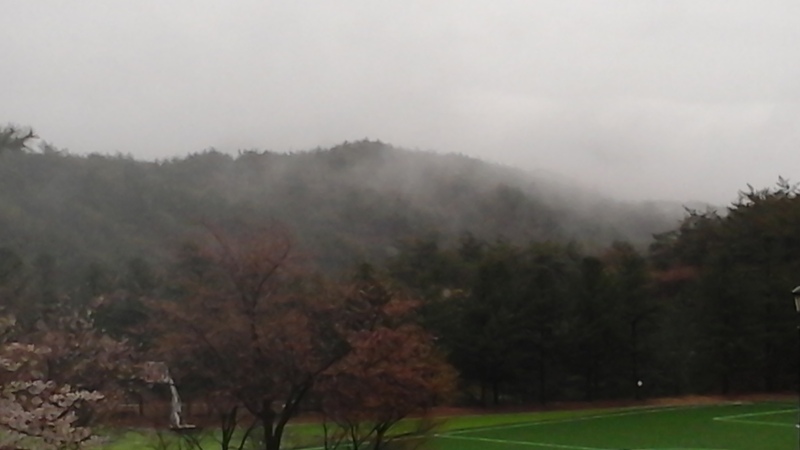 The grounds for this place is found on the mountainside on the outskirts of Kyoto. 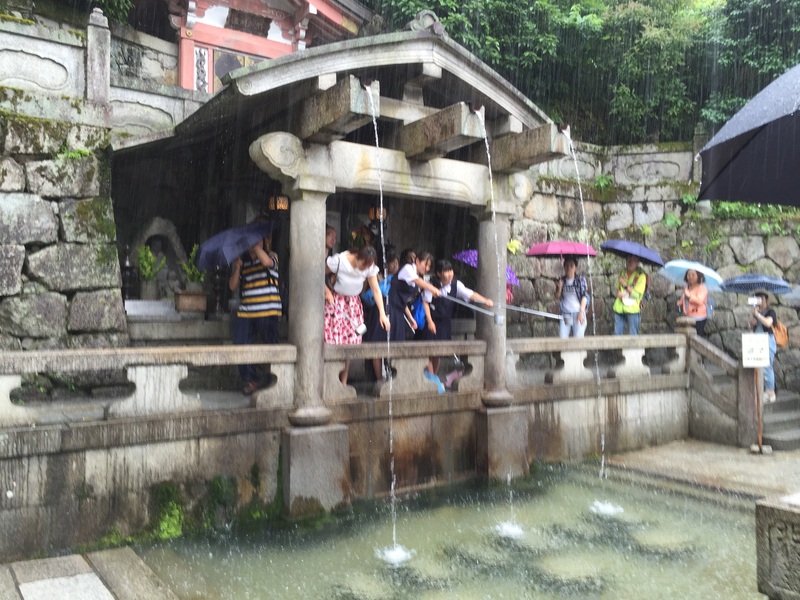 It is an extremely popular tourist spot and thousands of people can be found walking around. The grounds have the Buddhist bell, and drum, and there is definitely a place where worshippers can pay their respects to his teachings. But there are many other natural connections that found there as well. A great example of this are the two rocks placed thirty meters away from each other. The story goes that if someone touches one of the rocks and close his or her eyes, they travel across the busy walkway between the two stone. If they find the other one without the help of anybody else, it then that means that they will someday find their true love. A spring running behind the grounds is another example. People line up to drink water from one of the three different spouts coming from the stream. Each one holds a certain power behind it that helps a person gain success in a certain part of their lives if they drink from the spout. I can’t remember what exactly the three different aspects of life are, but I believe they are health, wealth, and love. I was told what they were eight years ago when I first visited this place but have since forgotten them. The first time I was here, Christine and I were walking through the entrance to the grounds when we were stopped by a young Japanese girl. She was working on her undergraduate degree in English at one of the local universities and she wanted an opportunity to practice communicating in this language. So she looked for English speaking tourists and asked if she could take them around to explain everything to them. We happily obliged and the experience was great. The same thing happened again on this visit except I was asked for an interview from a local girl in a middle school. She wanted to practice her English as well, and she had a script to help her get with the questions she needed to ask me. 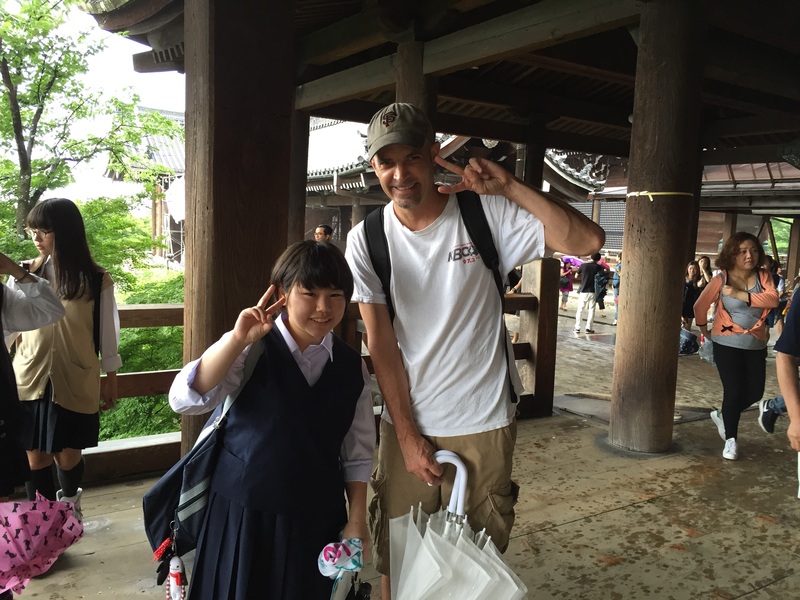 I told her all about where I was from, what I did for a living, and what I thought about Japan. It was a fun experience for me, but I believe that it was terrifying for her. The funny thing is I will probably always hold this moment dear to my heart; whereas, she will forget about it soon after and think about it only as something she needed to get done to complete an assignment for school. It is funny how people take for granted all of the things that they see on a daily basis while a different perspective will give it a greater value. It would always blow my mind when any of my relatives would visit us from out of town and we would take them up into the mountains. They would gape at them as we drove through. I couldn’t understand why they would be this dumbfounded by something I had grown up with. When I was able to drive myself, I would get mad at the tourists that would slow me down as I drove I-70 into the mountains because they were too busy rubbernecking to see all of the sights around them and did notice the awful job they were doing driving these dangerous roads. But the more I travel on my own road around the world, I start to understand why they did it. My heart may have longed to be back in Colorado, but there were times along the way where I needed to turn my head to see something I missed the first time around. 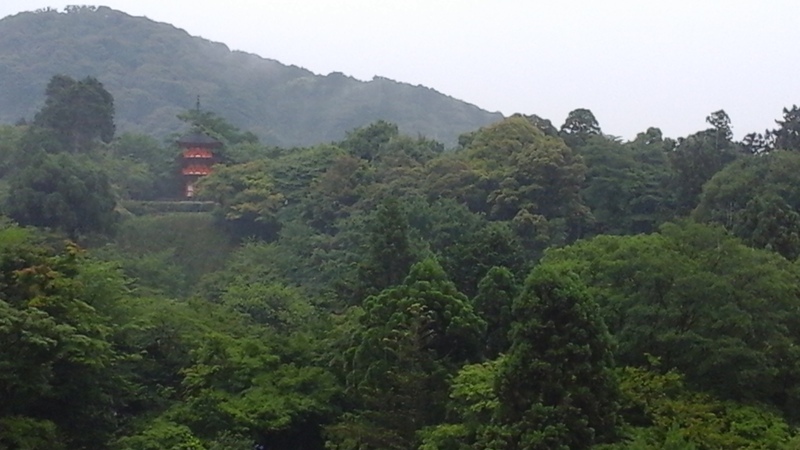 The first time I went to Japan we took a trip to the edge of Kyoto to see its Imperial Palace. 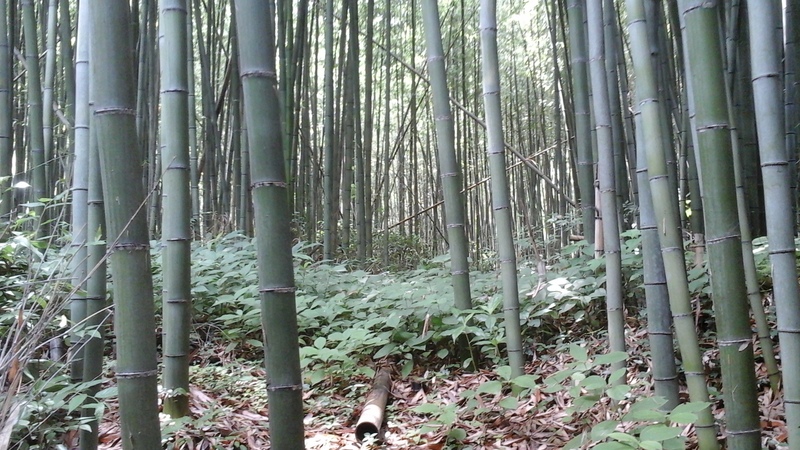 We went there because we were looking specifically for the bamboo forest used in the filming of Crouching Tiger, Hidden Dragon. 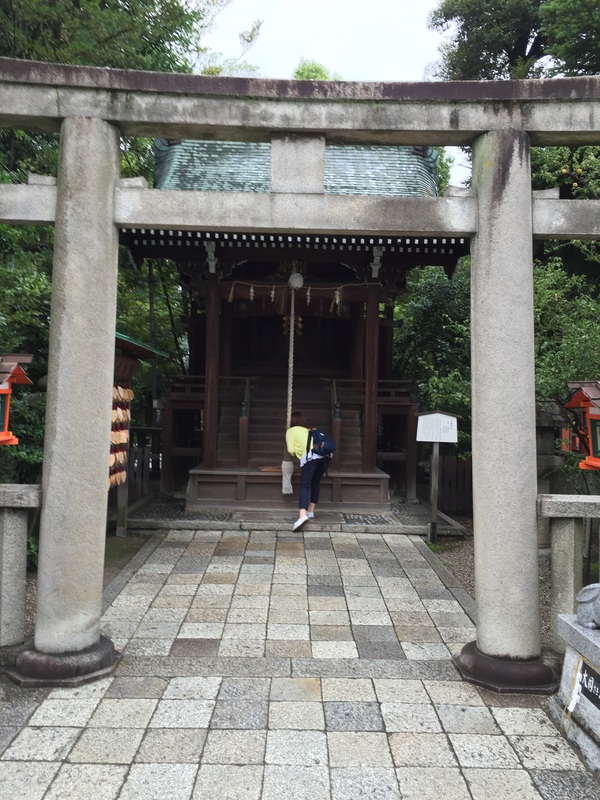 We thought it was held on the grounds of the palace and we did find a small corner of a bamboo grove, but it was not the impressive place I had thought we were going to find. That was because we had actually missed it. We needed to travel down a path outside of the palace and this expansive grove would have spread out before us. I don’t know how we missed it the first time because it was huge and packed with people as they explored it. It took the second time going to Japan to be able to find it. This is when I felt like one of those tourists that annoyed me so much from my home state. But I was able to gain some clarity from the experience. When I get out of my comfort zone and see something I have never seen before I can appreciate it for what it is. When I see something on a daily basis, it no longer holds that special quality of something new and exciting. It is not until it is taken away that I will start to appreciate it again with the quality of a child looking at a forest of bamboo trees for the first time. 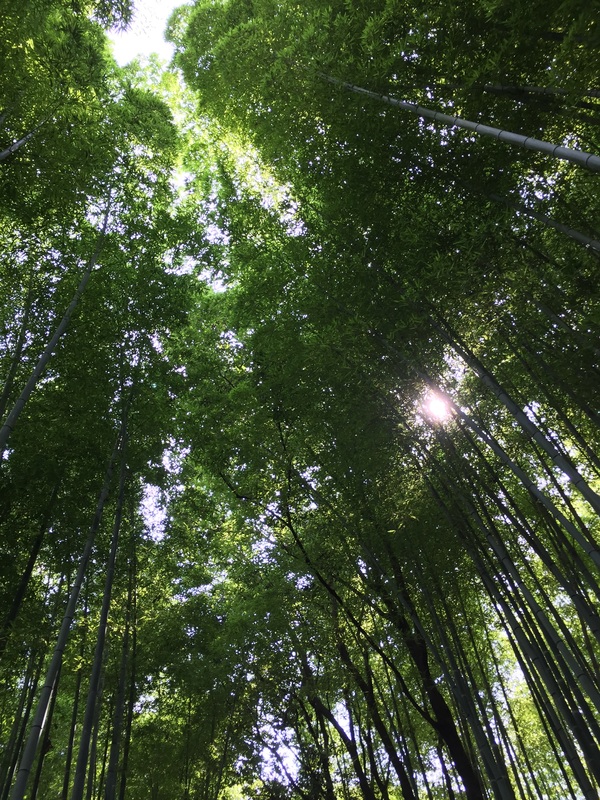 When I had found the bamboo grove, this idea was tickling around in the back of my mind, but I hadn’t formulated a stronger connection with it until I arrived in Nara. This smaller town in Japan sits on the edge of the mountains. People flock there for a couple of reasons. 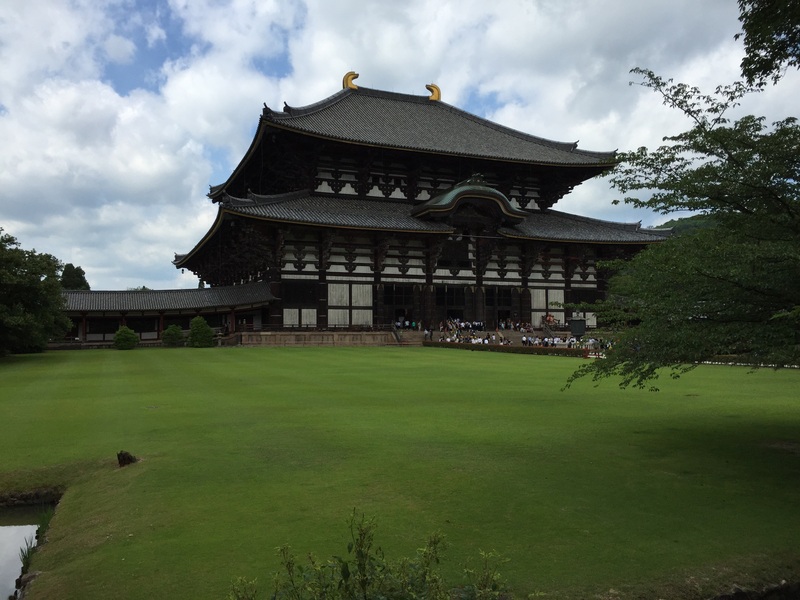 One, it holds the largest wooden building in the world, a Buddhist temple, and secondly because of the deer. And let me tell you, there are a lot of deer. They roam the streets, and they are not afraid of humans. A lot of this is because of the attitude the Japanese take towards the animal. They believe that it is sacred, and should not be hunted, and definitely should not be eaten. With this being the case, there are many generations of these creatures who have never felt the cruel side of the human race, so why should they fear them. 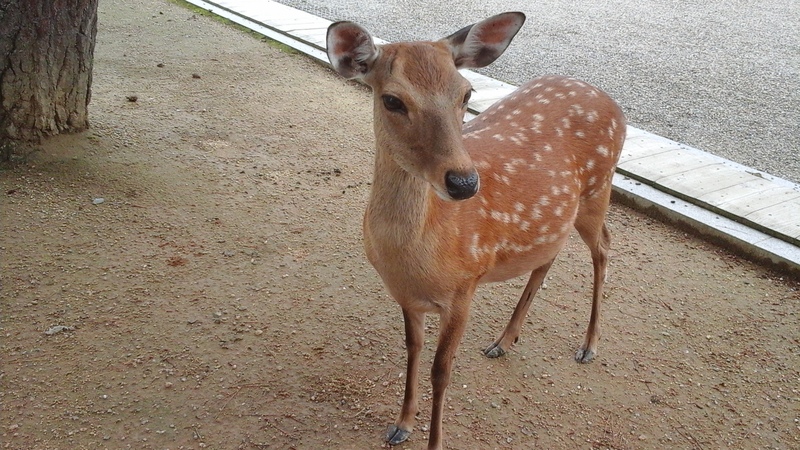 It also doesn’t help that there are many carts in the area selling cookies you can buy to feed the deer with. Of course, they will hang out in the area for the free meal. Some of them are big and a little bit of a bully, but for the most part, they are gentle and looking for the handout. It is funny to watch them as they walk around after people because it looks like every individual is out walking their deer. That is until the deer realizes that they have no food and they go off looking for a different person who might feed them. 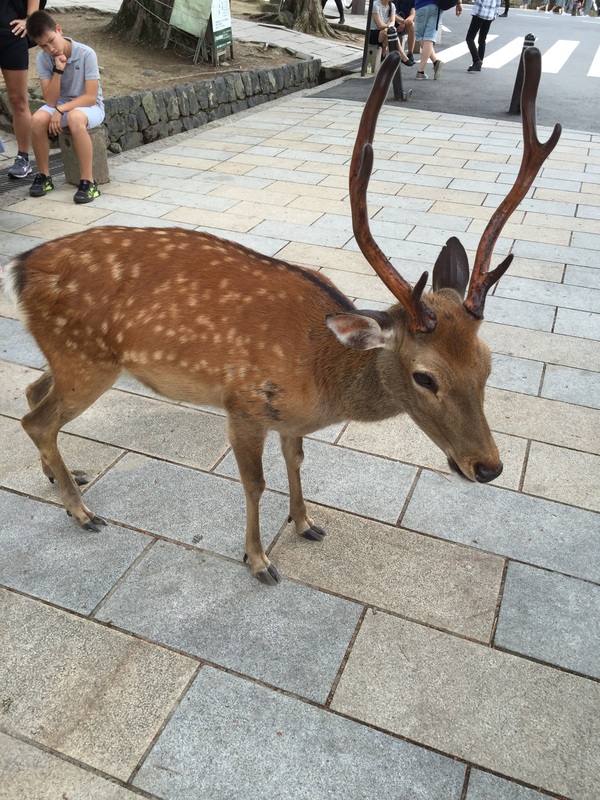 I had to walk through these herds of deer and people to get to the Todaiji Temple. 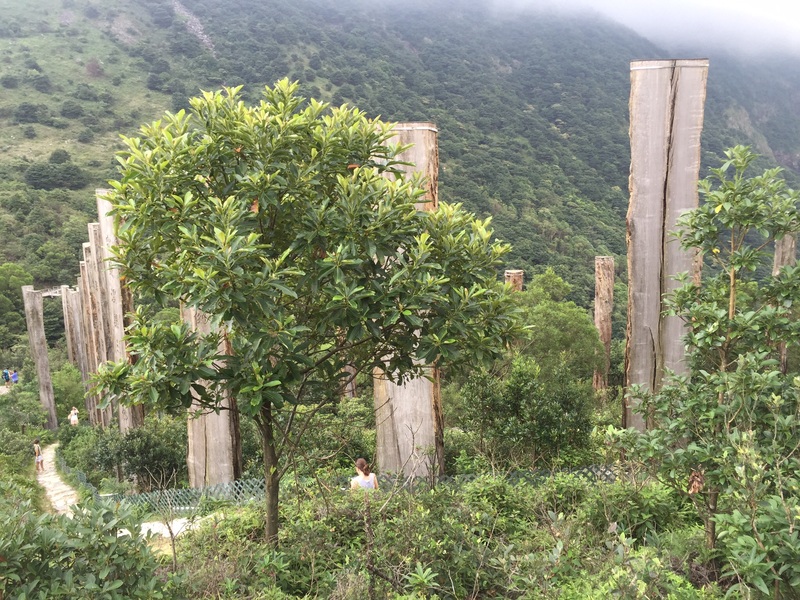 I started to wonder if people even get there because of the distraction of the deer, but when I finally arrived, I saw that people had put aside playing with the deer to check out this world heritage site. It is an impressive place that is filled with school aged children who are taken there by their schools so they can connect with their heritage. They are a lot like me with my mountains. The interest I would think that they would have at the site is just not there. This is something they have seen on a daily basis and they didn’t find it exciting enough to pay attention to where they were so they could gain a new perspective on their lives. In fact, they were more interested in yelling hello to the English speaking tourists to see if they could get the English speakers to say something back to them. There were many times I obliged them by waving and saying hello. It was kind of fun but I guarantee that their teachers hated the fact it was going on. A lot of it had to do with what the students were not taking from the experience. 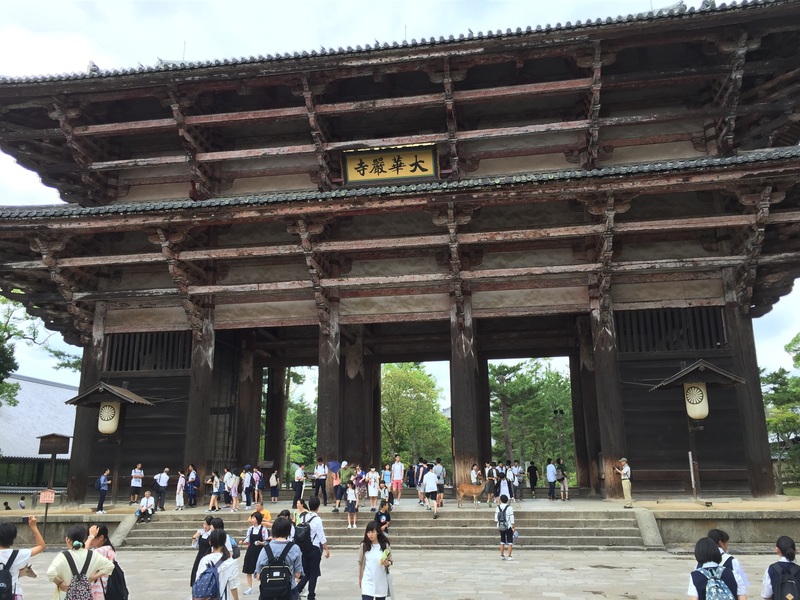 At this place, the children could find huge wooden statues carved centuries ago to guard the entrance to the grounds. It blew my mind that these statues existed. I had no idea where they would have found a tree large enough to carve such a masterpiece in the first place, and there were not only one of these giants to look at, but two. How could these kids miss these behemoths as they walked by? But then I would remember the fact that I would no longer pay attention to my much beloved mountains when I was back in Colorado unless there was a way I could have some sort of fun while I visited them. The kids of Japan were the same way. It wasn’t until they made it inside the temple that they started to enjoy the place. First off, there is one of the largest Buddha statues inside. There are smaller replications of the building showing how the design process was made and it isn’t until I made it to the back corner of the building that I found the area that help the children’s interest. At the bottom of one of the columns holding up the roof, there was a large hole carved in the middle of it. Legend had it that it was as large as one of the nostrils of the Buddha housed in the building. If you could wiggle your way through the hole to the other side of the column then you would be able to find true enlightenment in your life. It was fun to watch these students line up to have their try at squeezing their way through the hole. There was an older Buddha on the outside of the building that was not viewed as much though. If the students had paid attention to this, there was magic within its wood they would have appreciated as well. Apparently if you rubbed the part of the Buddha’s body that ailed you and then rubbed that same place on your body you would find relief from the pain. I can sort of see why that many of the children would not pay attention to this Buddha, but it was one appreciated more by the older generations. The path through Nara prepared me for the next stop on my road trip back home. It was a place I had been to before, but I was excited to see again because I remembered the profound effect it had on me the last time. In fact, I can’t imagine anybody who would venture to this location without feeling its significance. 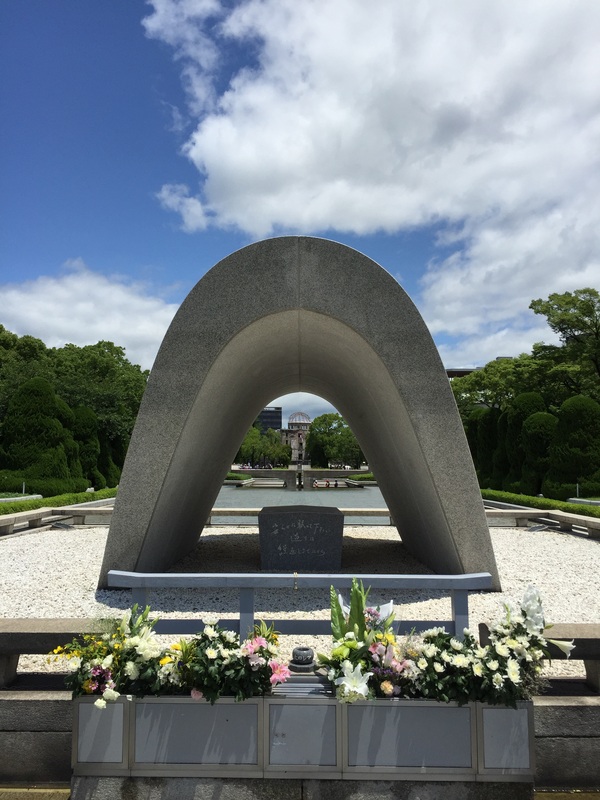 Hiroshima is one of those places that holds that much power in this modern age. Just wandering through the Peace Park is enough to make people feel the event that happened here on August 6th, 1945. You might not be able to see it because of the beautiful modern city that surrounds you, but the quiet respect that surrounds the eternal flame reminds you. And if that is not enough there is the shell of the building left behind. It was right under the blast of the atomic bomb that fell on that fateful day, and even though the tiny sun that the explosion created leveled the city, it was not enough to destroy this skeleton. 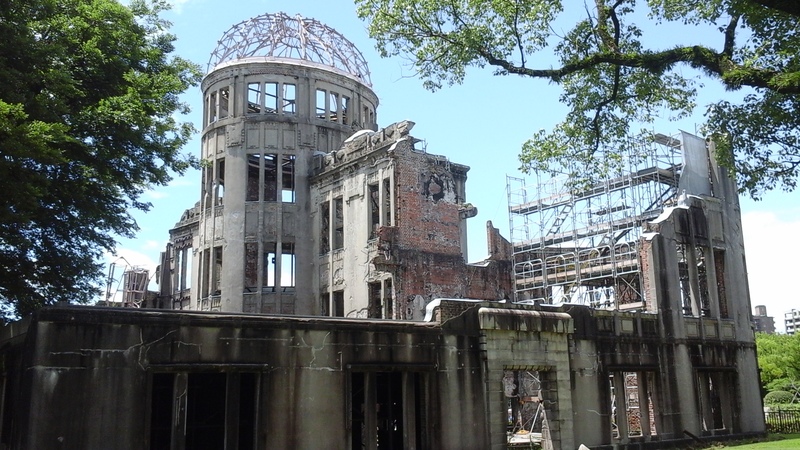 At one time, the people of Hiroshima demanded to tear down this eyesore, but more forward thinking folks won out. The structure remained to remind visitors of what happened that day so we could avoid repeating the same mistake in the future. Just going to this place, I wondered how people couldn’t help but be affected by what they saw. That was until you looked across the street from the park. Office buildings sit there. There is a hospital just down the road from it. Men and women dressed for business move about their days without ever looking over at this building. Why should they? The impact it had on me loses its effect when you see it every day. I guess that is the joy of being a tourist. You get to notice the things that the people who live there take for granted. They can range in size from monstrous to minimal. They can be displayed proudly. Or you may have to wander through the woods to find their special location. The point being that these places are in all great cities in every country on the world. They bring thousands of people away from the comfort of their living rooms every day just for the chance to see them. Yet, you might live right next to one and you might have forgotten about its existence or may not have ever noticed in the first place. Just by being more aware, these little things become more spectacular every time you take the time to notice them. 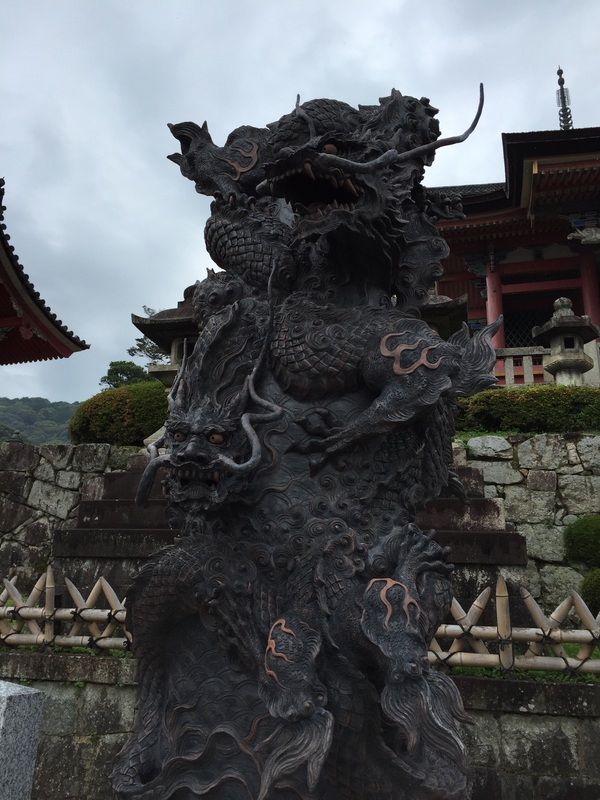 My trip through Japan became one moment after another that sparked within me awe. And even though I was able to look at my trip through this lens, I still longed for the thing that I had once taken for granted, Colorado. I marveled at the mountains that presented themselves wherever I went, and even though their green majesty was a sight that I enjoyed, it wasn’t the same kind of mountain you would find in the Rocky Mountains. Growing up, I always thought that there was only one kind of mountain, and if you had seen one, you had seen them all. But this is not the case. Throughout my travels, I have come to realize that each range of mountains holds their own contours. The science teachers have worked with have explained to me that this is because of the way they are formed. Even though the Rocky Mountains do have some of their formation due to volcanic activity, it is more the pushing together of two plates that has created this rangge. 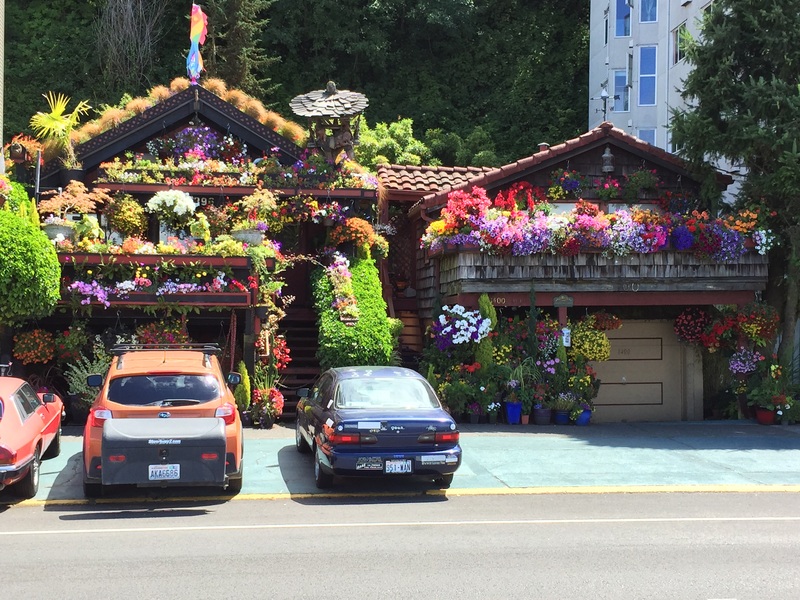 This is completely different from the mountains in Japan. They are definitely on the ring of fire, and because of this, each one of their hills were formed due to some form of volcanic activity. Because of this they look different, and the ecosystem they belong to allows for a different type of flora, and a different kind of animal inhabits the wilderness. The hills are greener. The rivers are wider and deeper. The animals we found would be considered more exotic. 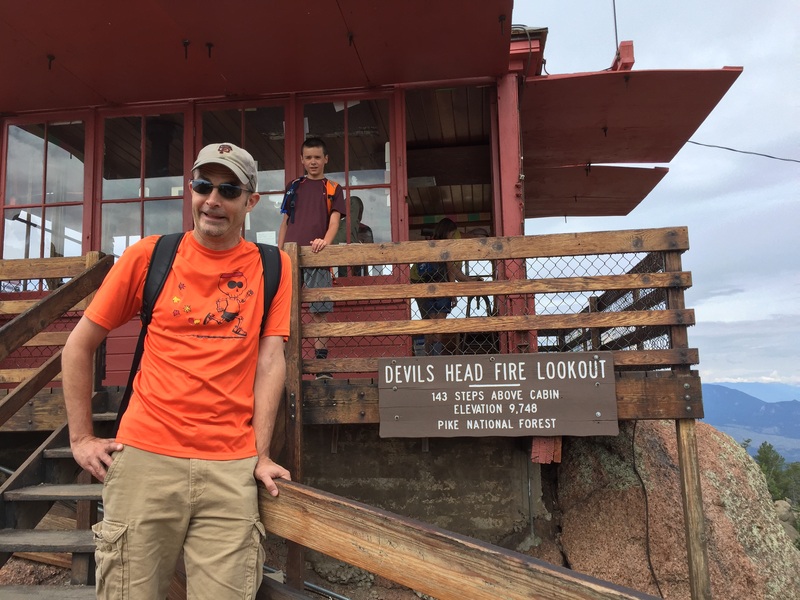 It is not everyday in the state of Colorado that you can take a short twenty minute hike up to the top of a mountain to feed monkeys peanuts from your hand. While we found this an amazing activity, it was still only something mainly done by the tourists of the region, just as there are people who travel all the way to Colorado to watch the elk at Rocky Mountain National Park. I would never think of an elk as an exotic animal, but then again there are probably a lot of Japanese that don’t find the monkey to be that exotic either. If it hasn’t become evidently clear yet, everywhere I went I saw scenery that would have, for most people, been place in their most spectacular vacation ever, but I couldn’t enjoy it the way it was meant to be enjoyed because I had been long away from the place that for so many years had been my home that all my thoughts would drift to that place. The next stop on my journey did not help to quell this longing for home. For the casual observer, it should have though. The scenery was dramatically different from anything I could have found in Denver, or even Colorado for that matter. 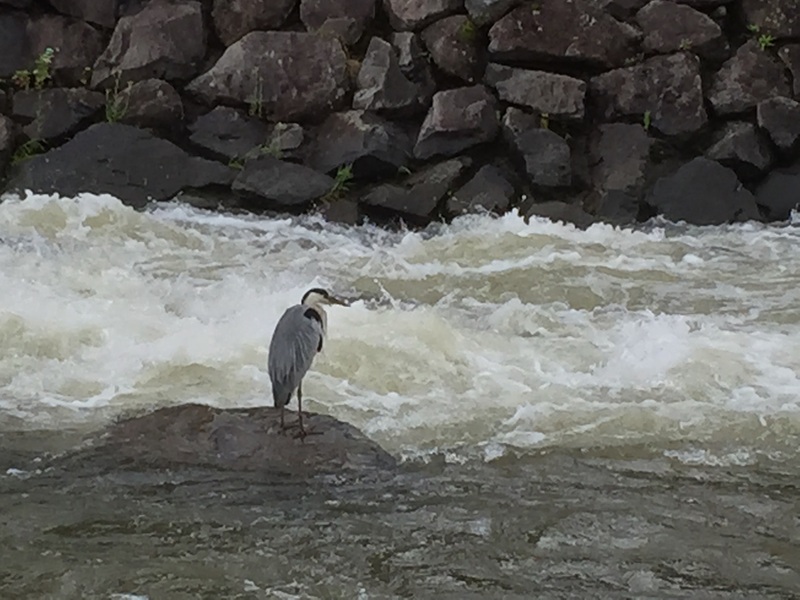 And even though herons may be found in the United States, they don’t venture so far inland to be seen in the Rocky Mountains, and when they do, it is not in a place that is as much of a dessert as the landscape that can be found in my home state. The artwork that I found on the streets was foreign as well. But for some reason, the vibe I felt here made me feel like I was back in Denver. Of course, I knew why, but for many people who travel here they don’t. 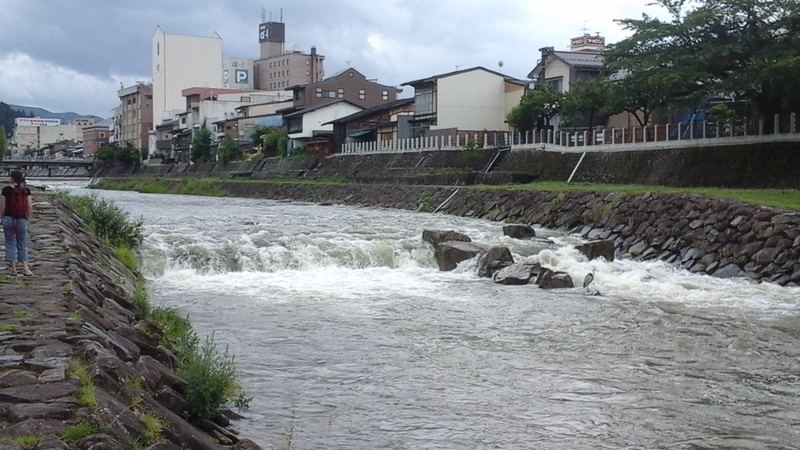 The place we had arrived in was Takayama. It is a small mountain town that loves their dogs, and gets cold and snowy during the winter. The good folks of this town know that they are so similar to the city of Denver that they got together with the good people of my home town and all of these good people decided to become sister cities. 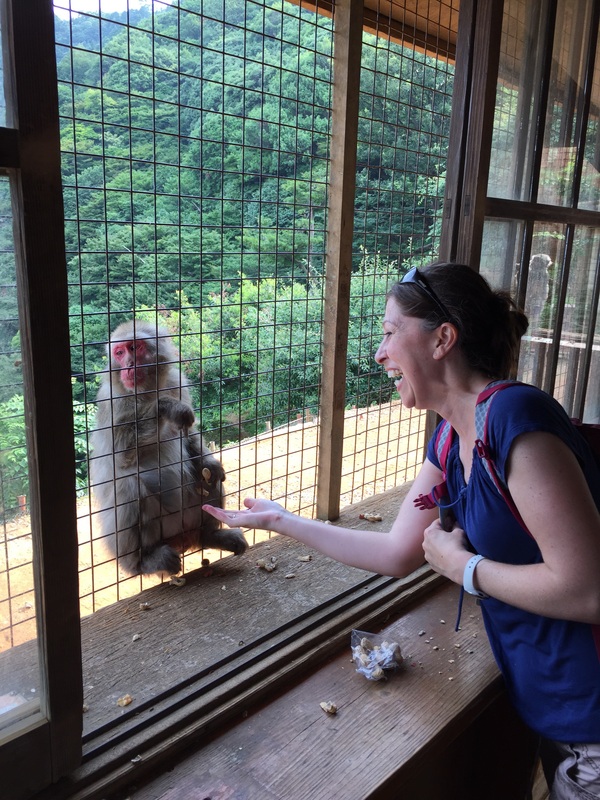 Sadly, the good people of Takayama celebrate this fact more than the good people of Denver do, but Denverites should start to pay attention more because this is really a wonderful place to visit. The streets are fun to wander around, and even though they do not brew as much beer as Denver does, they are one of the major producers of sake in the world. 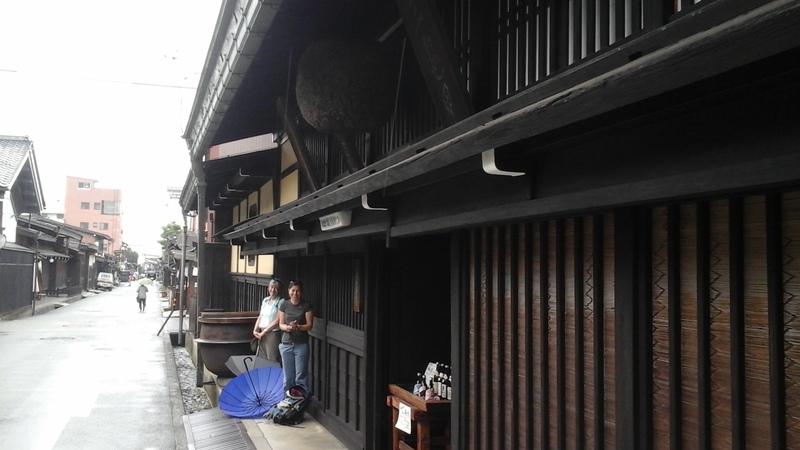 There is an old-town area whose alleys have many buildings with large rice balls hanging from the front of the door. 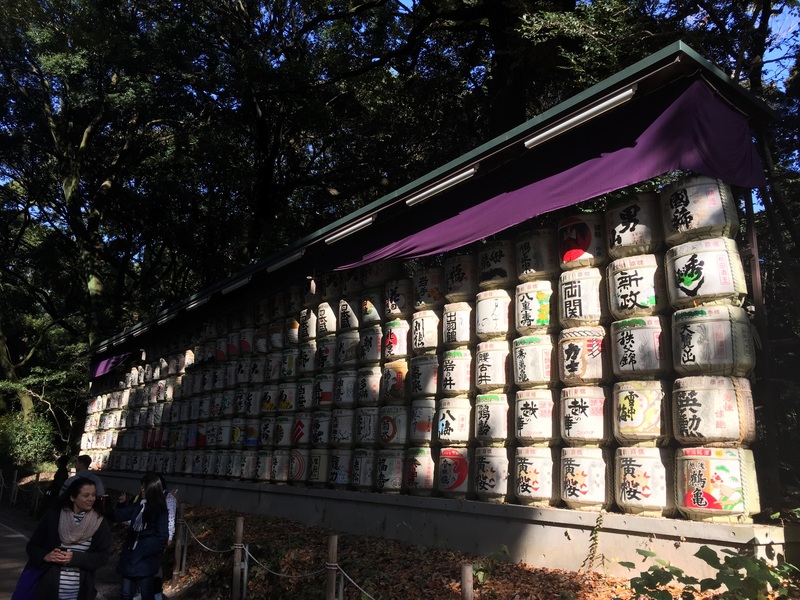 When you find one, you know you are the place where they make the traditional Japanese liquor, sake. After a couple of sips, you start to understand that sake can be just as complex and varied as either beer or wine. It makes for a fun day to go from place to place and sample all that they have to offer. 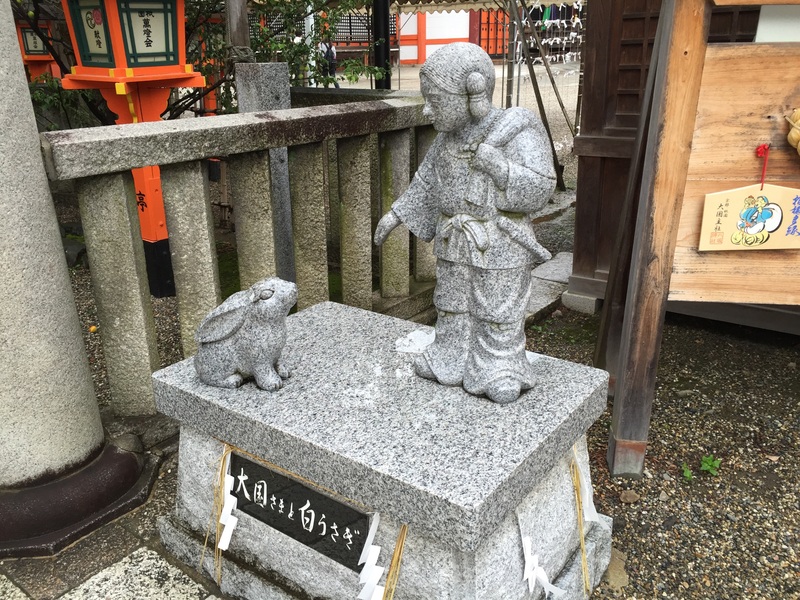 Many of the sake breweries have these foxes in front of them as well. It is a common accompaniment with many businesses in Japan. The spirit of the fox is believed to bring good luck to the establishment and to protect it from any enemies. 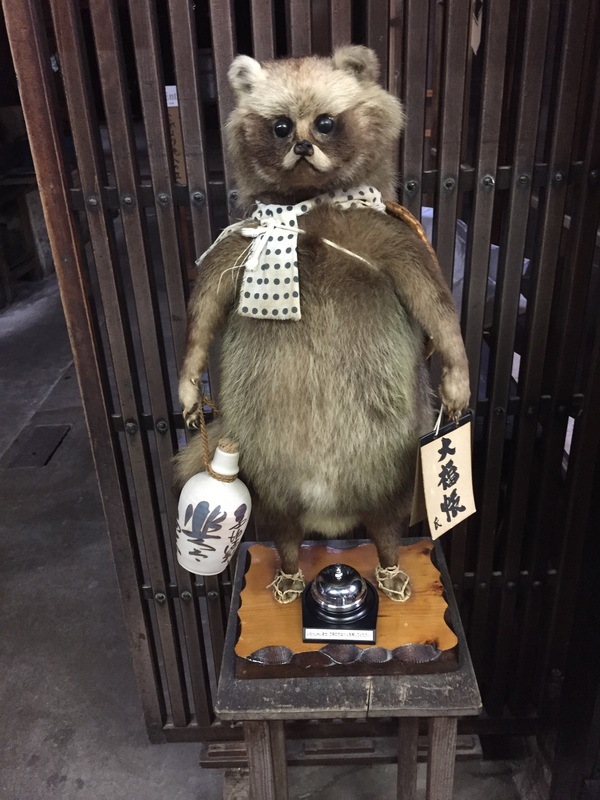 The business needs to satisfy the fox with food and in this case a bottle of sake. It also helps the business as well to know that the protector of the establishment also enjoys the product. 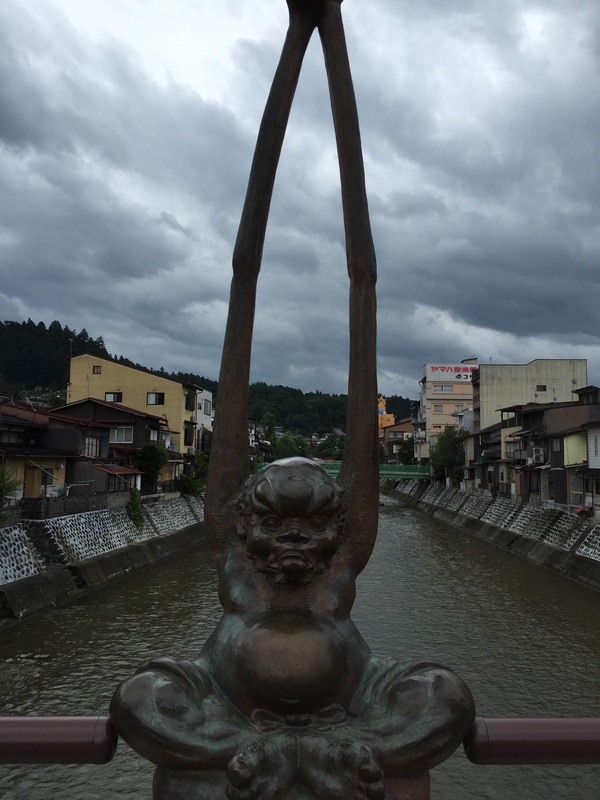 If you are looking for the more traditional kind of Japan landscape, Takayama is also the place. 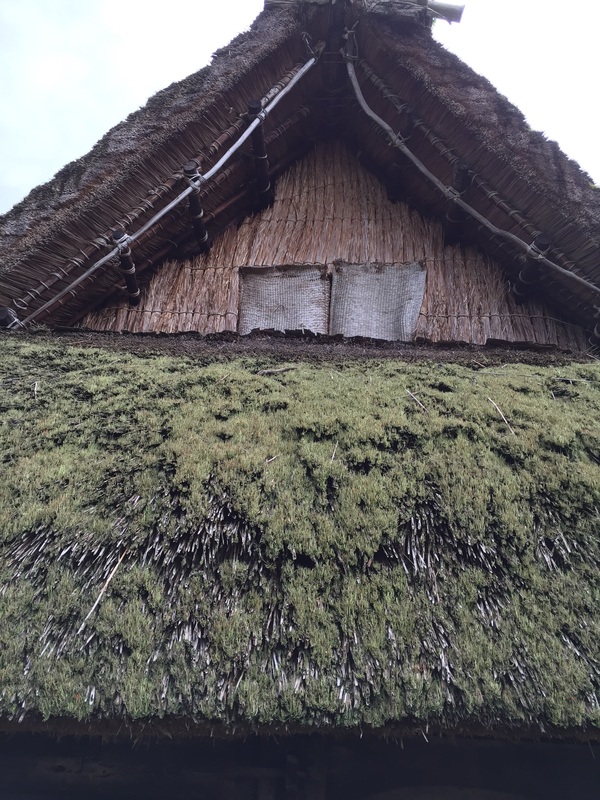 On the outskirts of town there is the Hida Folk Village with its traditional houses and thatched roofs. These structures are the perfect buildings to house the people that inhabited these hills. They would keep them warm in the snowy winter months, and cool in the hot, humid summer days. It is also the perfect place to breed silk worms. Many of the attics of these homes held apparatuses that would house these creatures as they produced the thread that is so coveted by many of the people in the world. The folks who work in the village still take that thread and weave it together by hand into beautiful pieces of cloth. 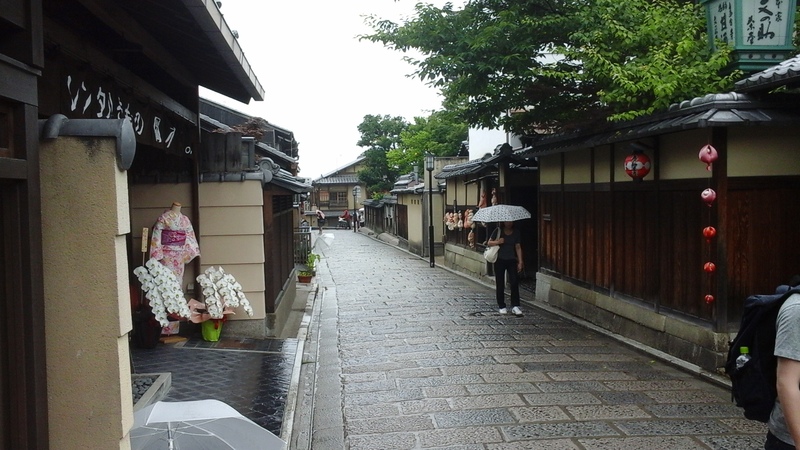 It is one of the reasons that makes Takayama one of the more special towns in the country of Japan. But the main reason that this place made me feel like I was at home was the people. They were friendly and took joy out of just being alive. We went to one of the traditional bar-b-q places in town one night. It is a fun experience. They have grills right in the table that they heat with briquettes of hard wood. You then order the vegetables and meat you wish to eat. If you ever go there, I would suggest that you order some of the beef. Hida beef may not be as famous as Kobe beef, but it is just as tender and it melts in your mouth the same way. You will not regret the experience. The night we went, we were being given a demonstration by the owner of the restaurant who asked us where we were coming from. Of course we told him that we were originally from Denver. It was amazing how much this one word excited the people of this town. The owner started talking about the Nuggets, and the people sitting at the table next to us started to ask us questions about my home town. 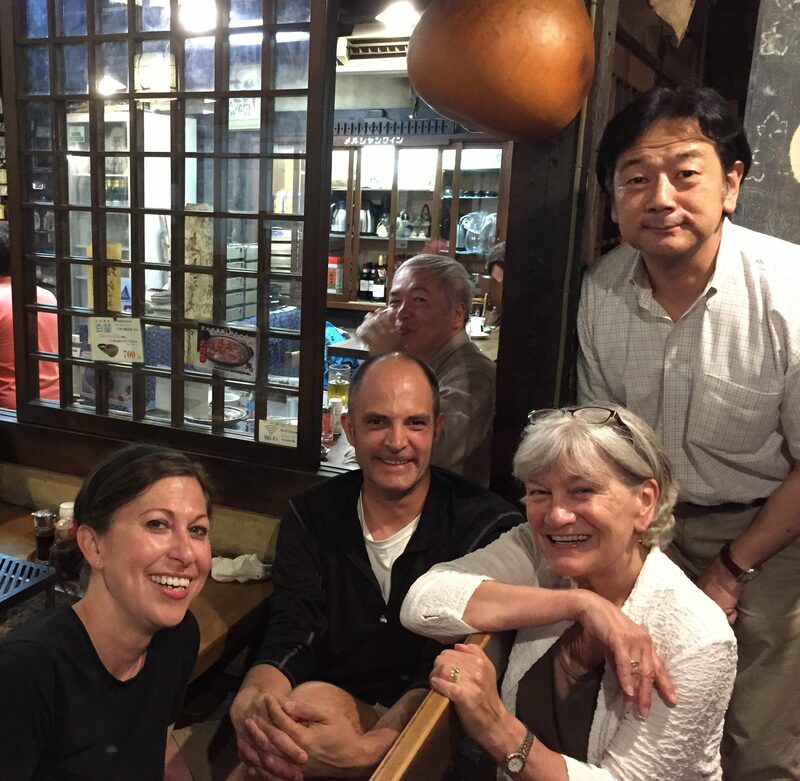 It turns out that the person at the table next to us was the main coordinator from Takayama who promoted the sister city aspect between the two towns. The conversation that ensued made me feel like I was at home again. There was talk of the Broncos, Michael Hancock, and the Rocky Mountains. If this was to help with my homesickness, it did not. It just made my longing for the place I called home even stronger. And even though the road I was on took me closer to the place my heart desired, I was still a ways from getting there. 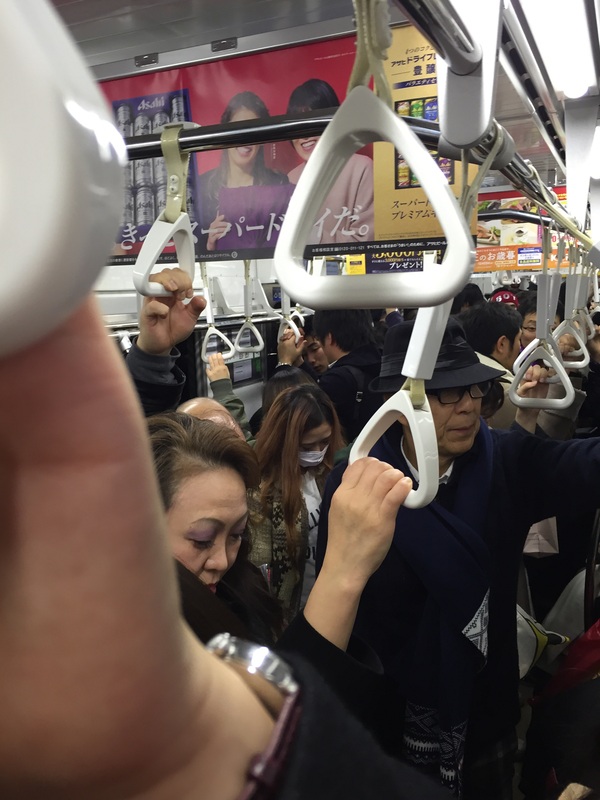 There was still one more stop on my trip through Japan, and that was Osaka. We had not planned to do a lot in this town. In fact, it was just a place to lay over until we were able to catch our flight back home, but I caught enough of the flavor of the city that I wished to learn more about it if I ever found myself here again. There is a vibrant energy running through the people who live here. Whether you are in the numerous shopping districts, walking around the back streets with their punk-rock attitude or watching the tourists as they wander by the waterfront, you can feel this vibe. This only problem was, we did not participate in this feeling. Instead, we ventured to the one place that felt the most like home. 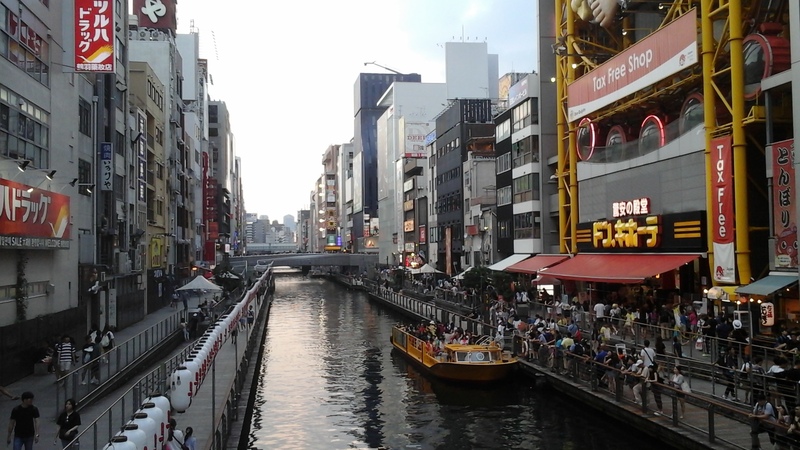 Osaka is home to one of the world’s Universal Studios. As soon as we heard this, we knew that we had to by tickets to the amusement park, mainly because Harry Potter’s World. 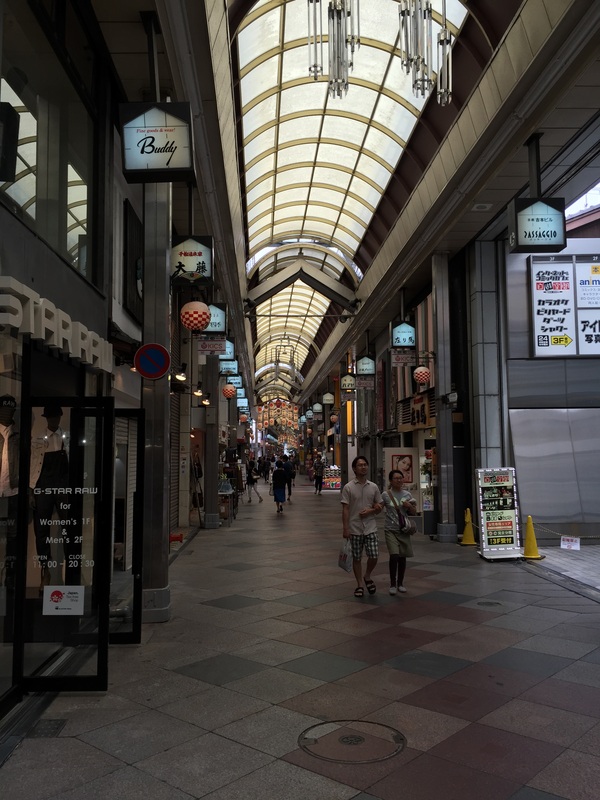 I know this is not the cultural experience you look for when you travel to the exotic places of the world, but we had spent over two weeks soaking up the culture of Japan, and it was time to see what their take on this iconic story was like. Of course, it was like any other Universal Studios in the world. 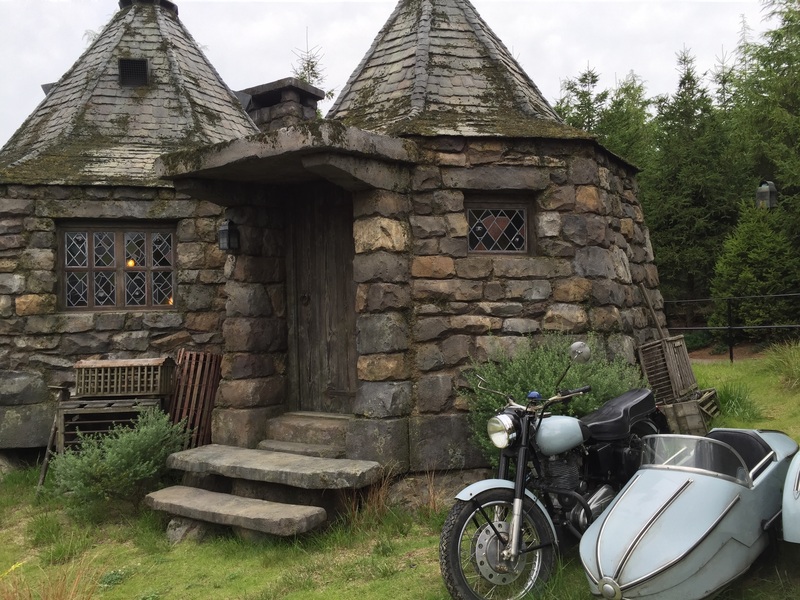 You could taste a butterbeer, take a ride on a broom with Harry and Ron, and shop for a wand at Olivander’s. The only difference was these characters that I had fallen in love with both in literature and film now spoke fluent Japanese. I knew I was nowhere near home when I saw the sorting hat tell me important details about the wizarding world in this foreign language. I still did not let this bring me down because there was enough things in this place to distract me from the fact that I wasn’t in my home town that it didn’t really matter. It was the perfect distraction on the last day away from the United States. 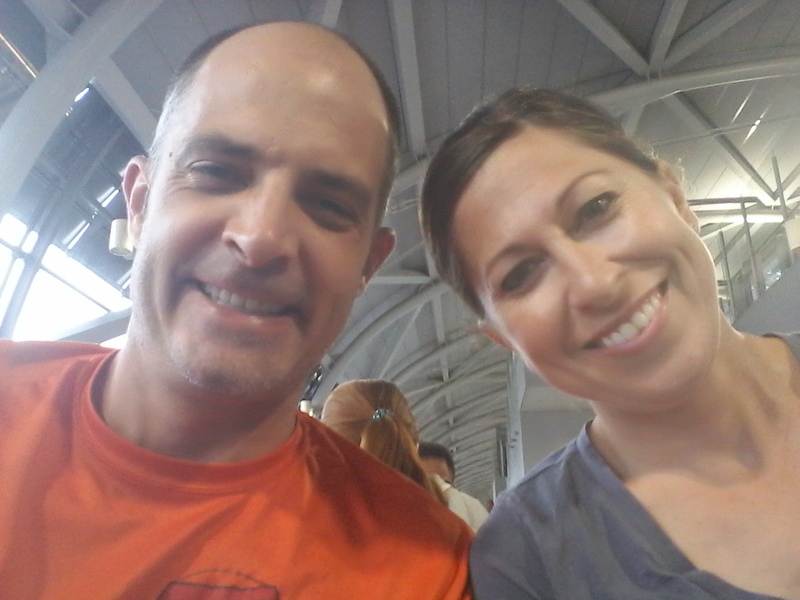 We were so excited about returning back home the next day, that we packed up our bags on rushed to the airport. It was our last leg on the long road back home. This was the longest of the legs, and it ended up being an exhausting day. I won’t even go into details, but just know that it involved a lot of delays on airplanes on tarmacs that made the travel of getting back home that more painful. 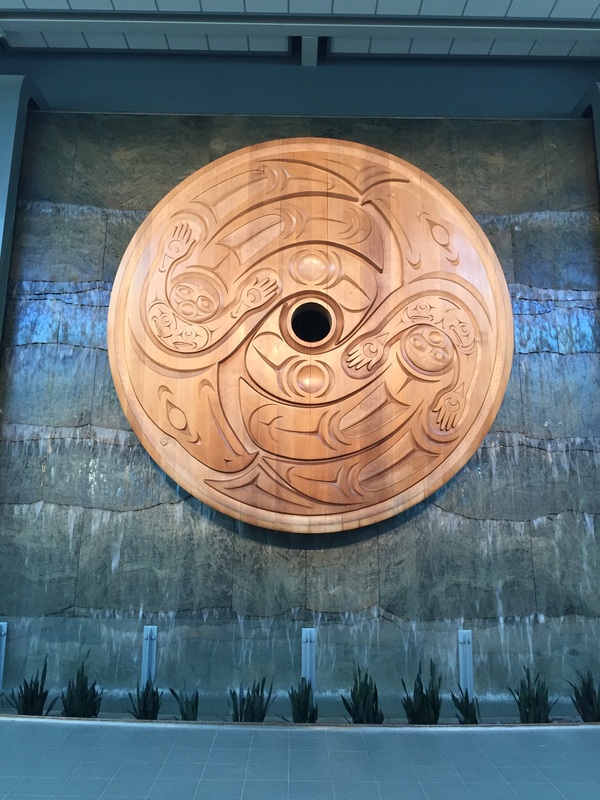 We knew we were close when we landed in Vancouver, and for the first time in a long time we were able to hear English again from the conversations around us. I felt a little bit of a heal when I would listen in on people’s conversations. I wasn’t doing it to be a jerk, but because it was one of those little things I missed so much. If you have ever lived for a long time away from your native language, you know what it is like. Any opportunity you get to listen to the words you are familiar with, you just soak it up. You will eavesdrop. You will talk to complete strangers. You will read every word you see on a bathroom sign, not because you need to know about the blowers, but because you can the language. 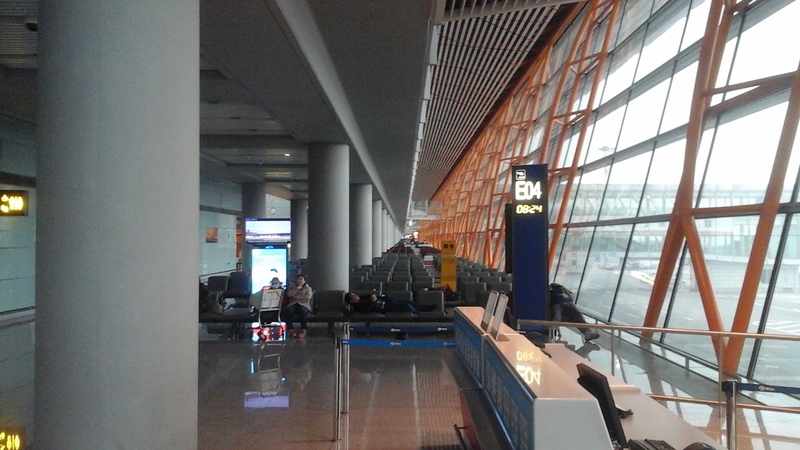 It was just a short hop from this airport to the place I longed for the most. 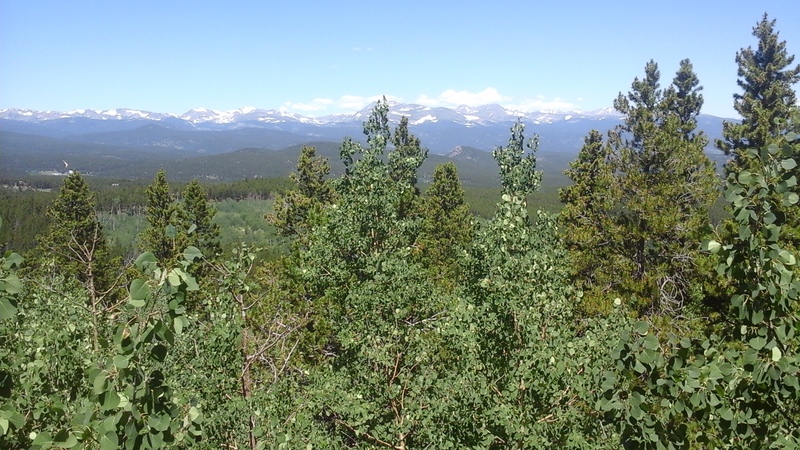 The next morning, I was able to wake up to this site, the Rocky Mountains. I was home again. Over the last year, I have had the opportunity to talk to many people from many different corners of the world. They have told me all about their experiences of living abroad, and talked about how each year they adjust to the changes around them. They have talked about missing their home towns, but they have also told me that this longing for familiar places gets smaller every year they live abroad. It might be true, but I do know that I had a strong desire to see these mountains again because this was the first time in my life I had lived without them for so long. It was one of the most welcoming sights I has ever seen. I even started to appreciate the small things I did not notice the first time as much while I was living here. 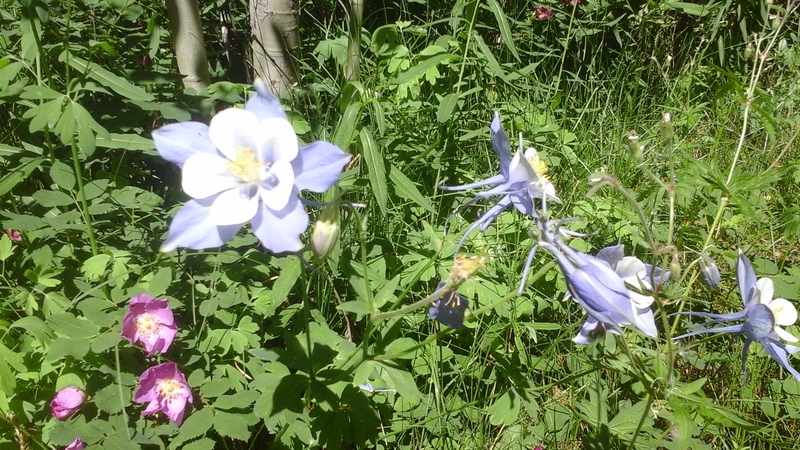 I knew about the wild flowers that grew in the mountains, but I never knew how amazing it was when you were to come across a group of columbines in bloom in Colorado. It made me know that I was home. There were other things I got to see in those first few days that made me excited about this trip home. Many people who live in the United States would take these things for granted. I remember walking into a grocery store the first day back and being blown away by all the various types of food I saw on the shelves. If I wanted to I could find all the stuff I needed to make a delicious meal, and I wouldn’t need to travel all over the city to obtain each item. Visiting Target had the same kind of appeal to me. Not only was there food, but I could find music, movies, clothes and games there. It was pure heaven. A vibrant, colorful world was all around me. Wherever I turned on my trip back to America, I was greeted by things that I, at one time, had taken for granted, and it was like viewing them for the first time. But there was something I came across on my long road back home and throughout the trails I traveled through while I was there that I discovered was more important than anything else. It was always in the background. Sneaking into the photos being taken of me. It was something I missed more than anything else during my year away. I would run into it on backwoods trails in the Rocky Mountains. They were always there with a smile, and great conversation. It was the greatest part of being back. Its strength is more powerful than the Rocky Mountains, and I will take it in my heart as I travel back to my job in Seoul. It is my family. I know that a lot of people take their family for granted. They expect them to be on their beckon call at all times, and my family would be willing to do anything for me as I would for them. But you learn as you make your way out into the great big world that distance might make that harder to accomplish on a regular basis. That still doesn’t mean they are still not with me as I travel from country to country. The experiences I have had with them combine together to create who I am now. And as I meet and get to know other people in this vast world, they are really getting to know my family better. It took me a year away from them to figure this out, and more importantly, to figure out what they mean to me. It is this new understanding of the importance of family that I take with me as I go off into my second year of teaching abroad, and I will never take them for granted again. I will treasure every moment I get to spend with them from now on. Books are important. Any educator will tell you that. You might even be able to dig that answer out of the more obstinate P.E. teacher with the help of healthy snacks and lot of hand signals. But those reluctant P.E. teachers would constantly complain that there is also value to their contribution to education that should not be ignored. Not every educator will feel the same when confronted with that idea. That pretentious English teacher with the curly mustache that he always needs to pet will be the first to tell you that anything you need to know can be found in The Complete Works of William Shakespeare. And as much as I would like to agree with the opinion of that stuffy English teacher, I do have to give it to the P.E. teacher in this case. Some times you need to put the book down, and go out to experience life. I have talked about this type of learning before, and I still believe strongly in the importance of it. The last school I worked in used experiential education to show at-risk students the value of putting their addictions to the side and seeing the world for what it has to offer. The strange thing is that this is the same thing that the Korean students I am teaching now need as well. The addictions are a little different though. One involves a bong; whereas, the other involves a book. It is obvious to many people that there will be a pot problem in the high schools of Colorado, but nobody thinks that there could be a problem similar to it in South Korea. For many years, South Korea has been on the top of the list for the best educational system in the world. Sometimes it is number one, but sometimes it slips to number two behind Finland. Both countries have great educational systems, but they both take different approaches to education. Finland thinks that less is more, and South Korea doesn’t believe that it can ever get enough. Students are required to work exceptionally hard in school and when they get out for the day, it is traditional for them to go to hagwons, a kind of specialized tutoring center, where they are asked to study even more. Some of my students spend up to sixteen hours a day with their studies. They are constantly tired, and have a hard time keeping awake. From middle school until they graduate high school, these students spend their time in their books. It is their addiction. Granted, a lot of this is due to their culture and history. Americans can take a lesson from the South Koreans about how to pull themselves up by the bootstraps and get back on their feet. South Korea turned around their economy faster than any other nation in the world. They used to have one of the worst economies in the world, but now have the eleventh biggest one. The craziest thing about this is they accomplished this feat with very limited resources except their greatest one, hard-working people. This is where the notion of needing to work hard comes from and why the Koreans continue to push their children in this effort. Now as a writer, I am always going to say that books are the greatest thing that has ever been, but like anything else there is a danger to them. Besides the obvious danger of introducing new ideas into the world, and pushing people’s thinking, there is another danger, getting addicted to them. The desire for learning is great, but when it comes at the expense of a person’s health, and takes away from them the chance to actually live their life, then education has gone too far. You can only get so much out of books. You get a lot more out of experience. A book will tell you how to do something. An adventure will require you to do it. That is where these trips come into play. We take our students out of their comfort zone, the safe world of stuffy books, and out into the world where they don’t know exactly what is going to happen. It is amazing to see these kids take to the challenges presented to them. They climb mountains, traverse rope bridges, ride on mountain bikes, and paddle on makeshift rafts. For many of these kids, they have never been able to experience this kind of life. Their existence was limited to the confines of the big city and their ideas of the world around them were only learned from books. 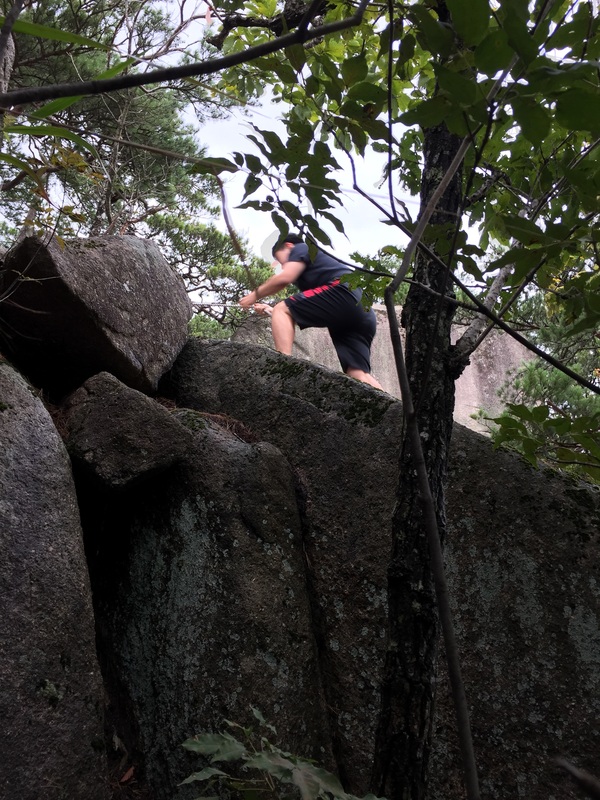 Even though the intellectual challenges that they gain from this style of learning is great, they still never know how far they can take themselves and what mountains they can conquer until they are out scaling those stony cliffs. This specific group of students took it even farther. They not only learned what they could do for themselves, but they also learned how they could work with each other. 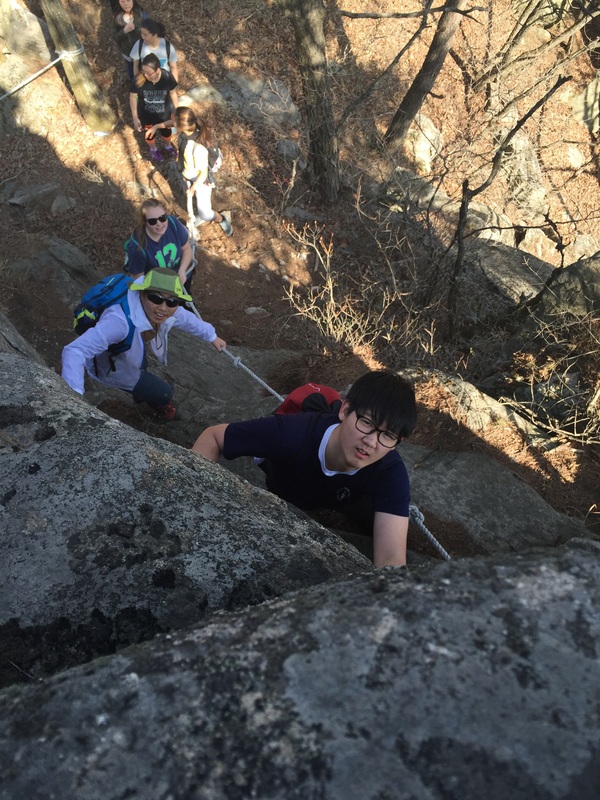 There were many times on the hike where I saw students helping each other out to make sure that they all got down the path safely. They cheered their peers to as they took the challenges that the adventure course offered to them. But the area that I saw them work together the best was on the pond with the rafts. My students were broken up into different groups and sent out onto five rafts with about eight students on each one. The four teachers that were chaperoning the event were placed on a separate raft. It took us awhile to get on the pond; whereas, the students had a little bit of time to figure out how to maneuver the boats around and how to splash each other. Of course, by the time the teachers got on the pond, we were the targets of their new attacks. 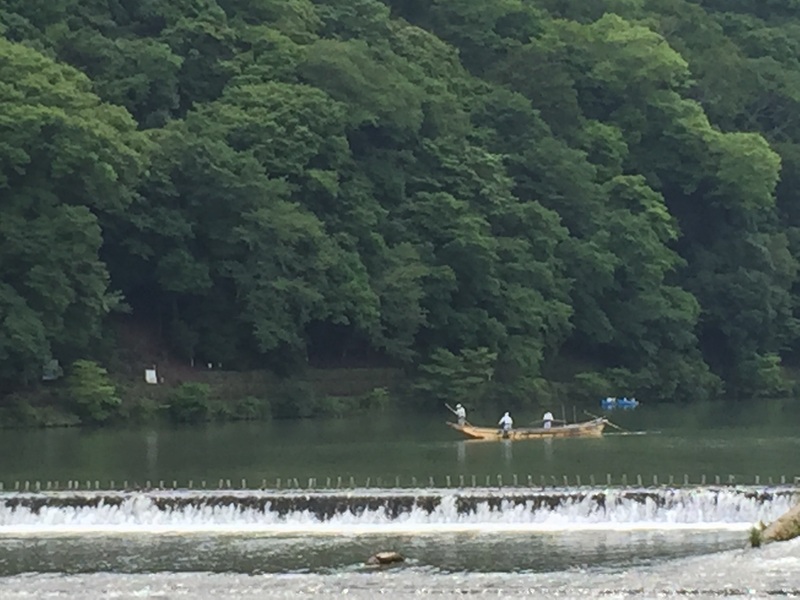 The way they organized the boats on the pond made it difficult for us to escape their attack. Even though I knew I was about to get soaking wet on a cool spring day, the moment made me really proud. I was able to see a good portion of the sophomore class come together to work against a common enemy. It showed that the learning that we wanted to take place was actually happening. 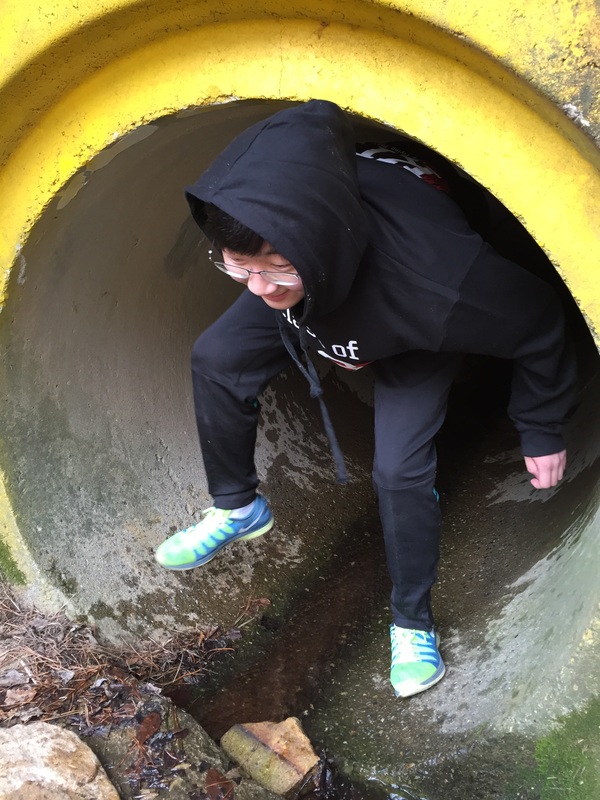 For these students, these trips are traveling through a dark long tunnel which sometimes does not appear that it will ever end. But halfway through that dark tunnel they start to see a small pinprick of light far away. So they keep on traveling to see if they can reach that other end. As they get closer to that end, the light gets bigger and bigger until they get to the other end. When they emerge from that tunnel the feeling of joy is huge. They can’t help but smile. For the most part, this is the same way that many people would describe their high school experiences. For the teachers, these trips are the moments that they can guide the students through these new experiences. They can watch their pupils learn new skills as they go through these challenges. In the process, they get closer to their students and each group is able to learn about the other because we get to see each other out of the classroom environment. It all translates well when everybody gets back to the school. The students have experienced something new that they could never have learned from books and they trust their teachers even more and are willing to do the work that is asked of them. The teachers get to apply what they teach to something bigger outside of the classroom, and create those lasting relationships with their students. With all of these benefits, you begin to wonder why more schools don’t try to create programs like this. Some day they will come around to this kind of thinking and each school will become the powerhouse of education that they can be. Until then, they need to continue to walk down that dark tunnel making their way to the guiding light.